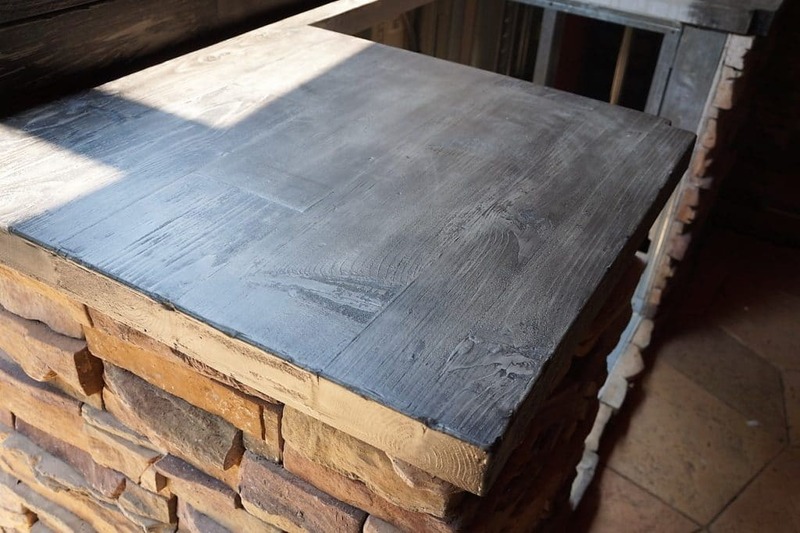 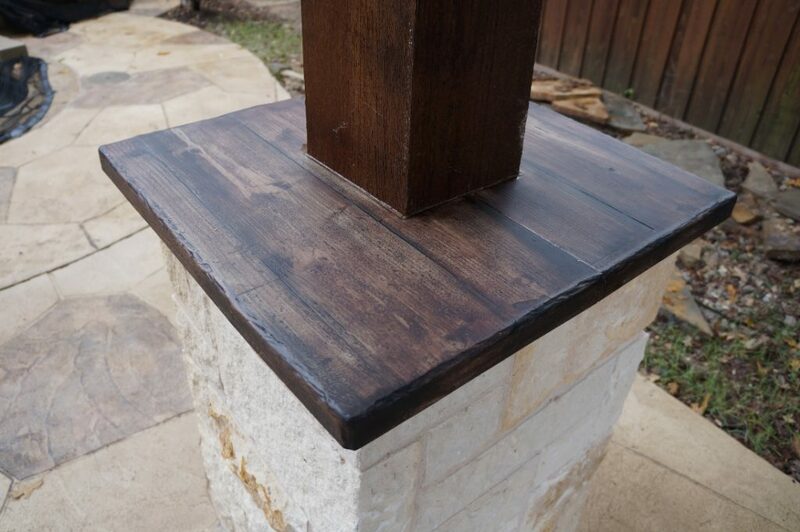 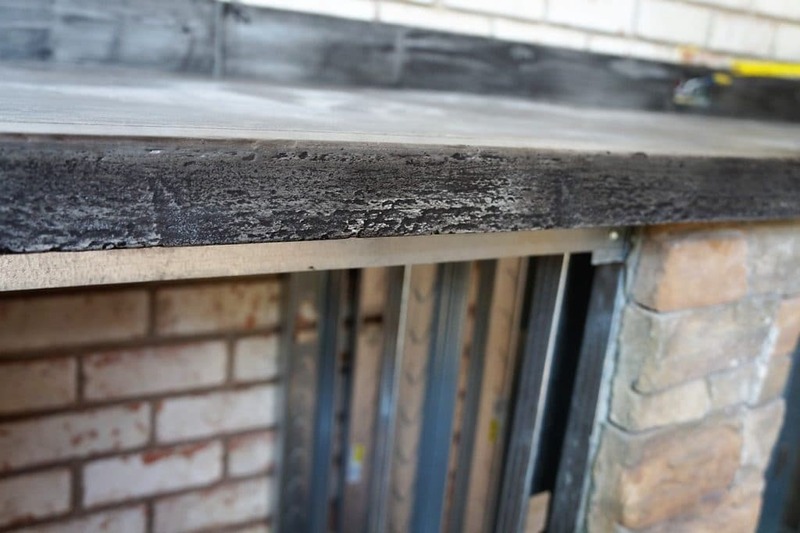 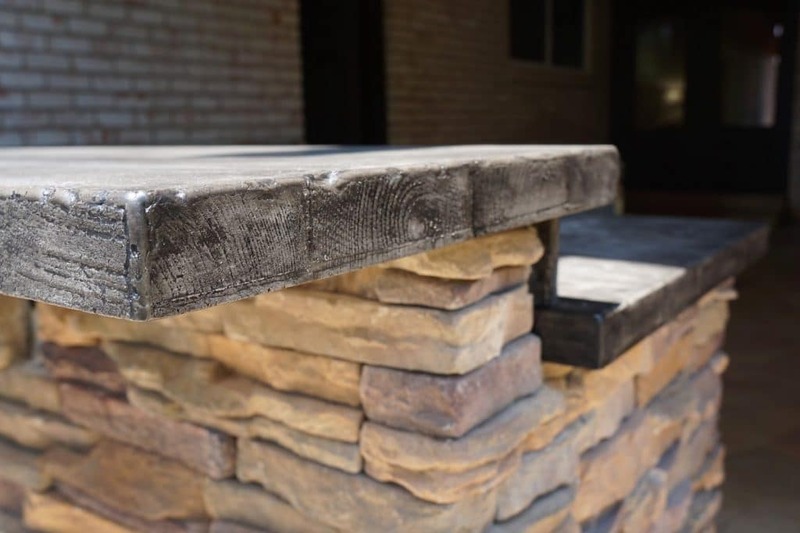 Our Wood Look Concrete makes for great post surround since that the seams hide very well. 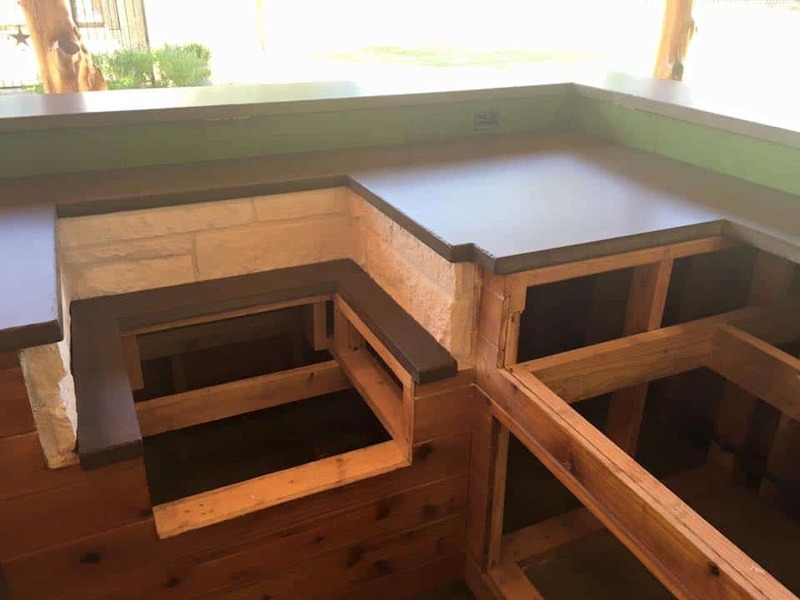 Can you find the seams? 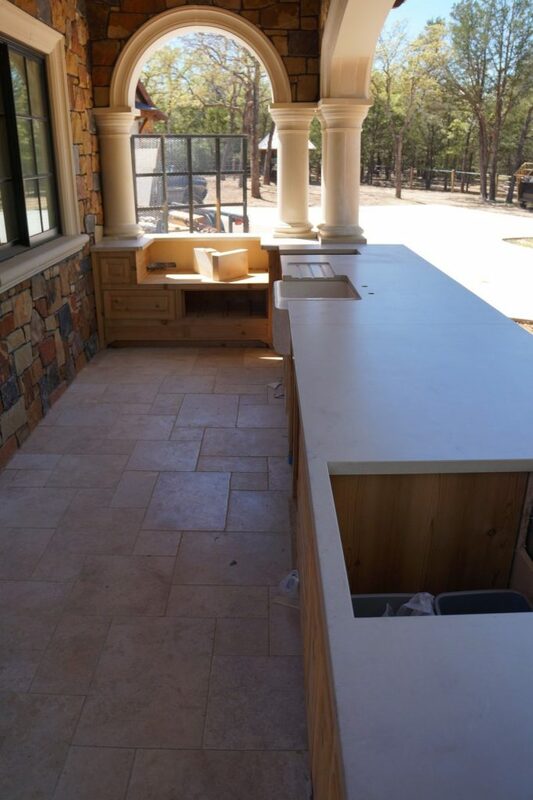 Large outdoor kitchen with our custom wood style concrete countertops. 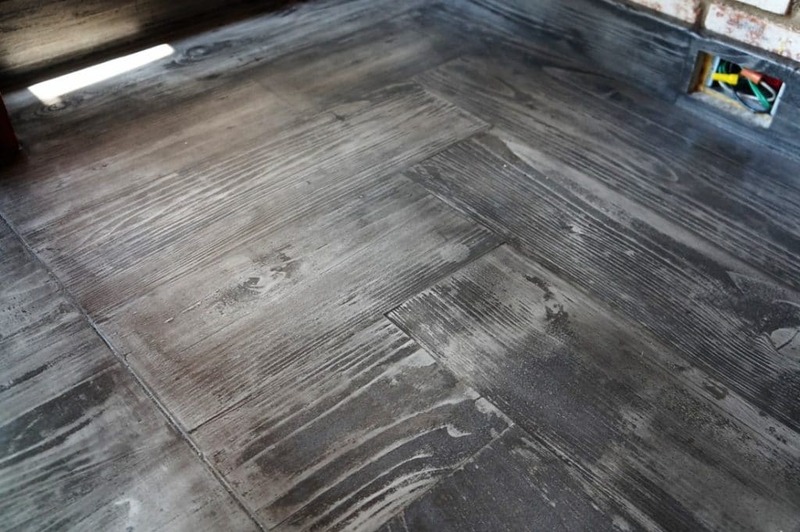 A nice transition of the direction change in the wood grain in the concrete. 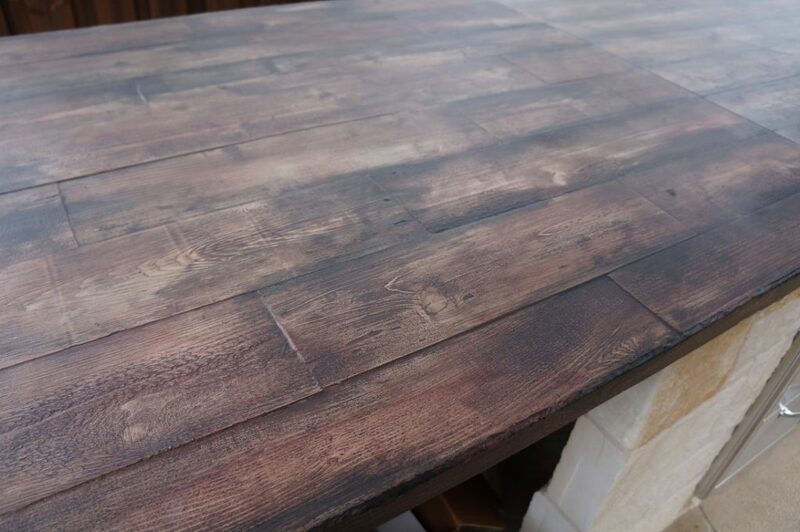 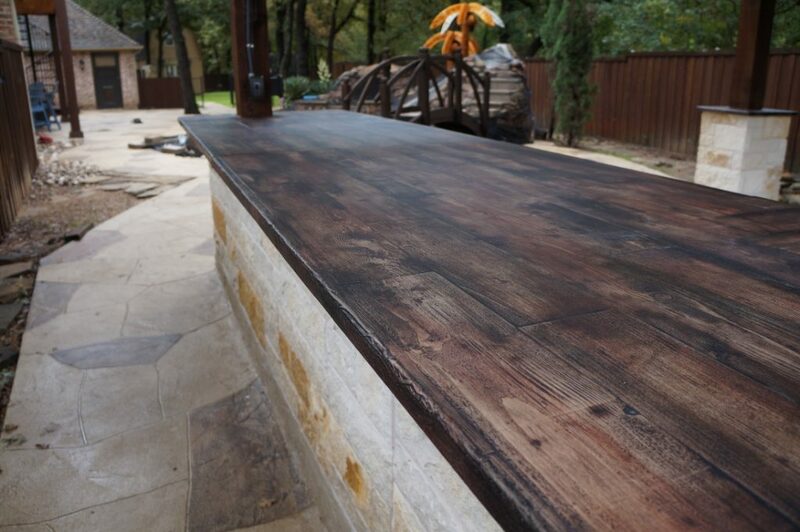 We are going for a drift wood color with this stain. 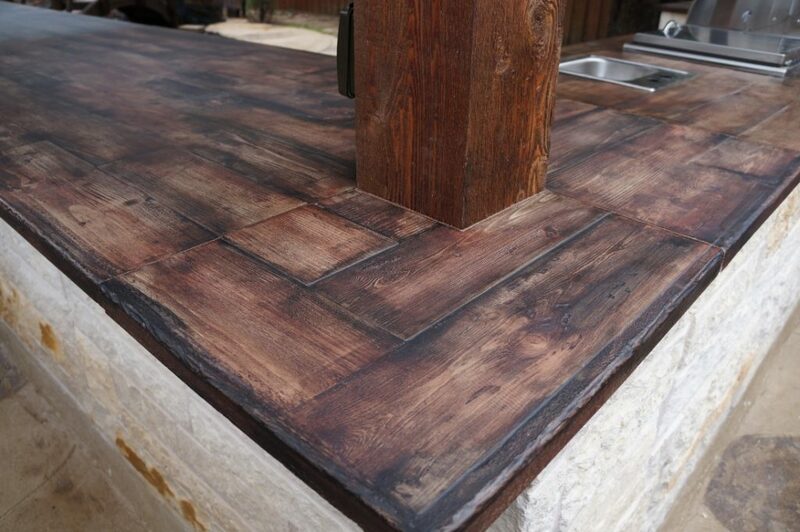 We also made custom wood grain concrete backsplashes. 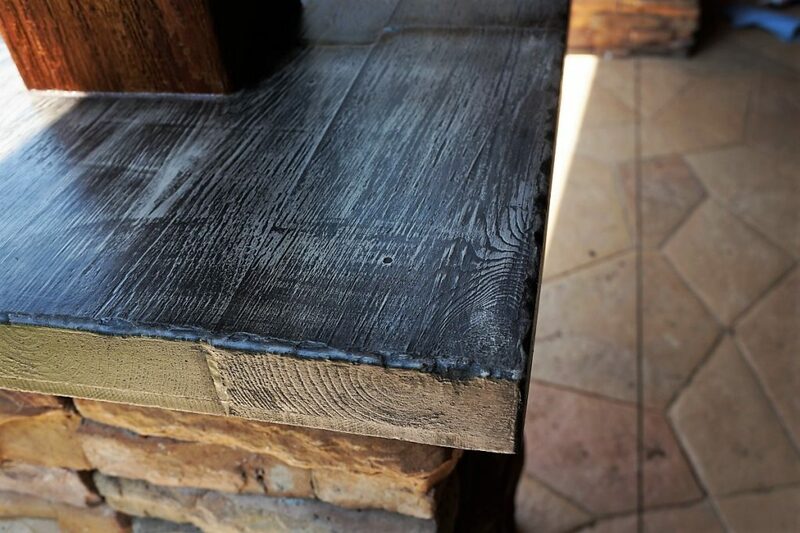 The concrete captures almost every detail of real wood. 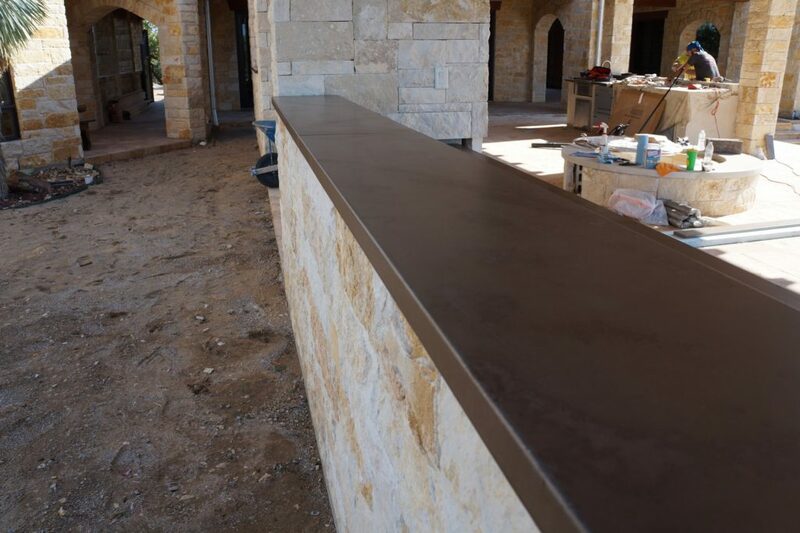 Close up of the edge detail. 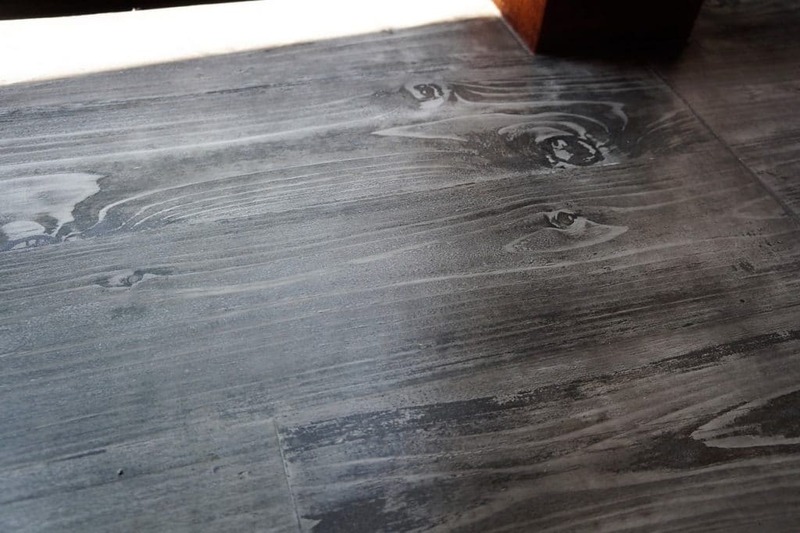 Close up of the end grain captured in the concrete. 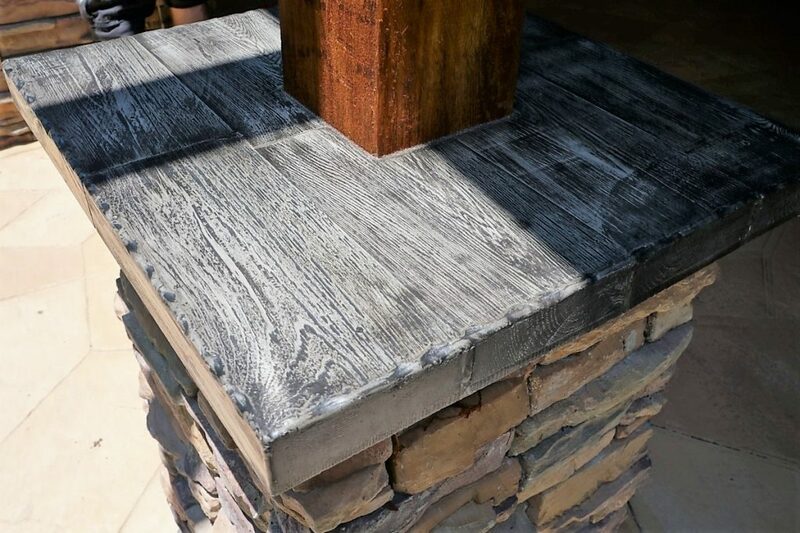 We were able to hide the seam of these two pieces by disguising it as a break in the boards. 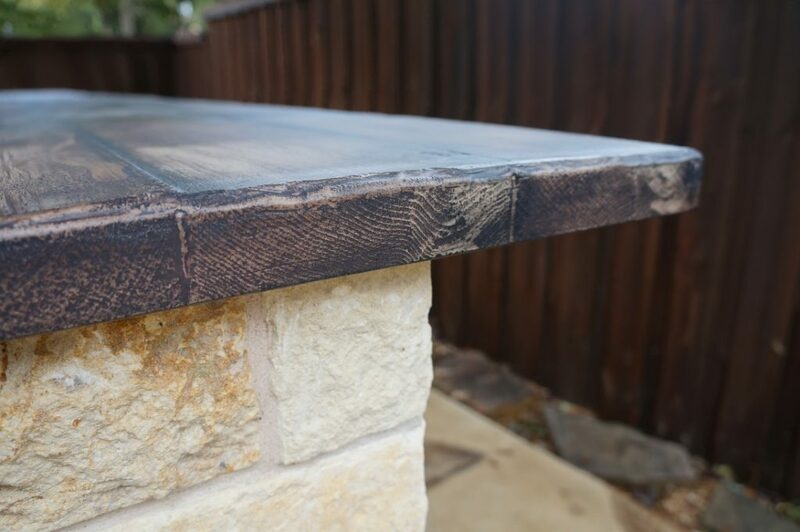 A close up view of our distressed edge. 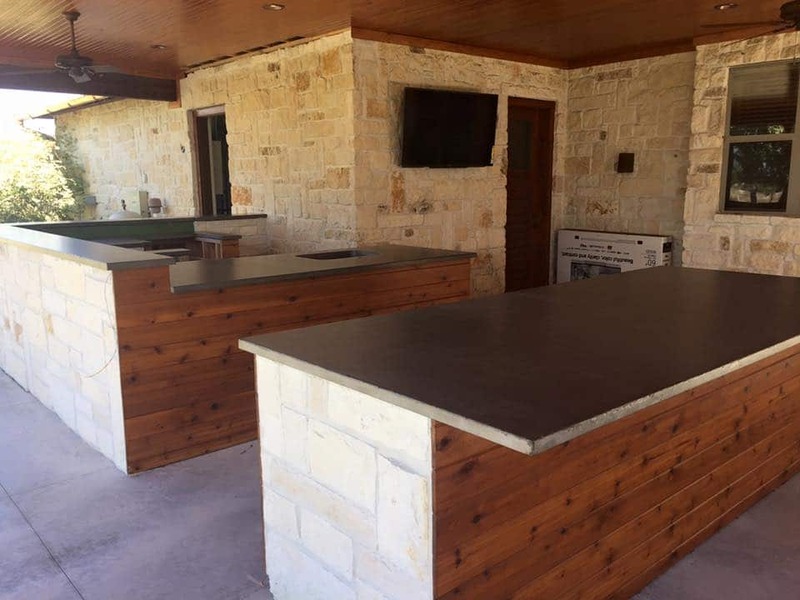 Very large outdoor kitchen with our distressed edge gray concrete countertops. 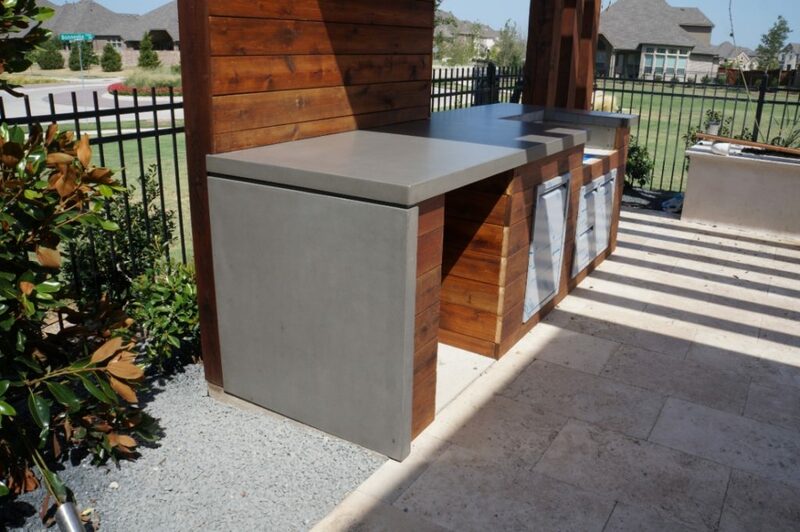 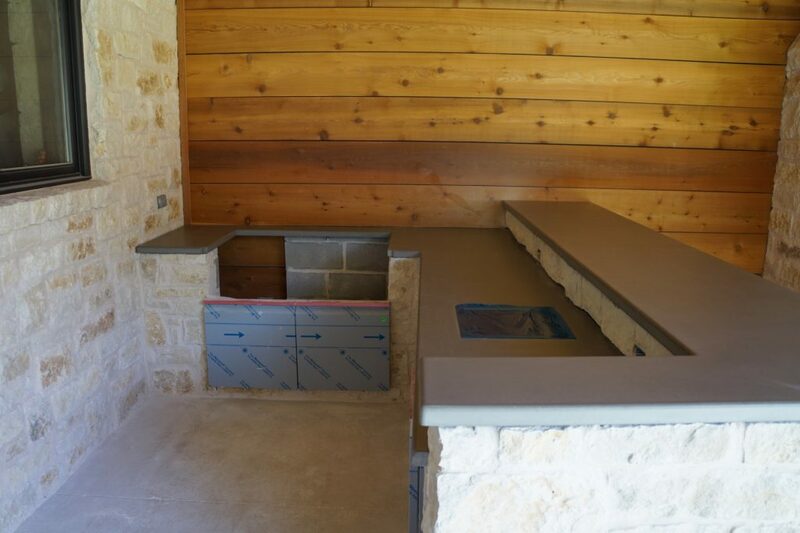 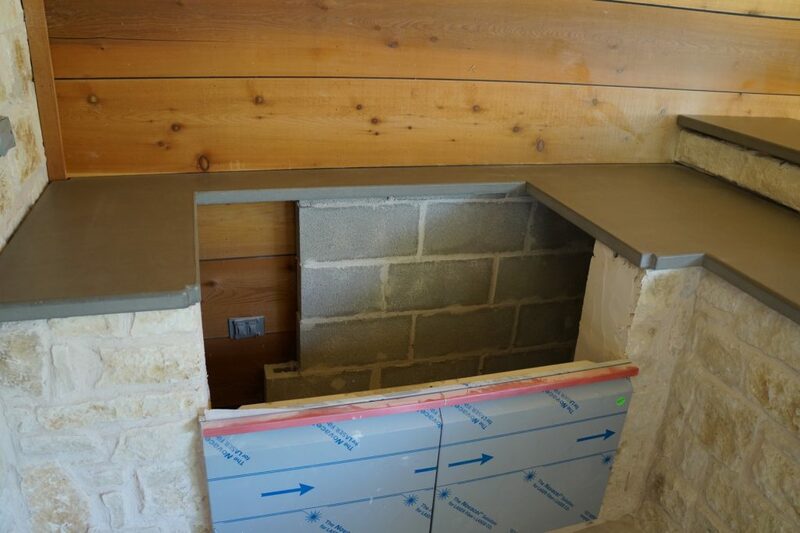 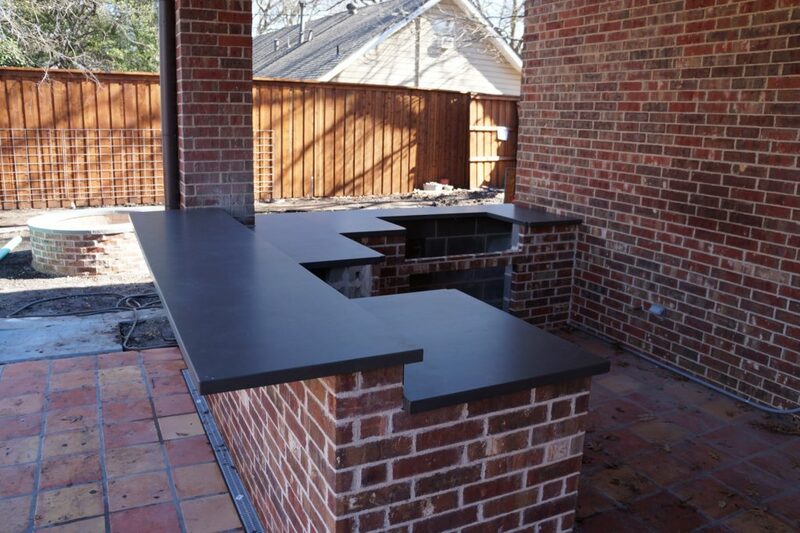 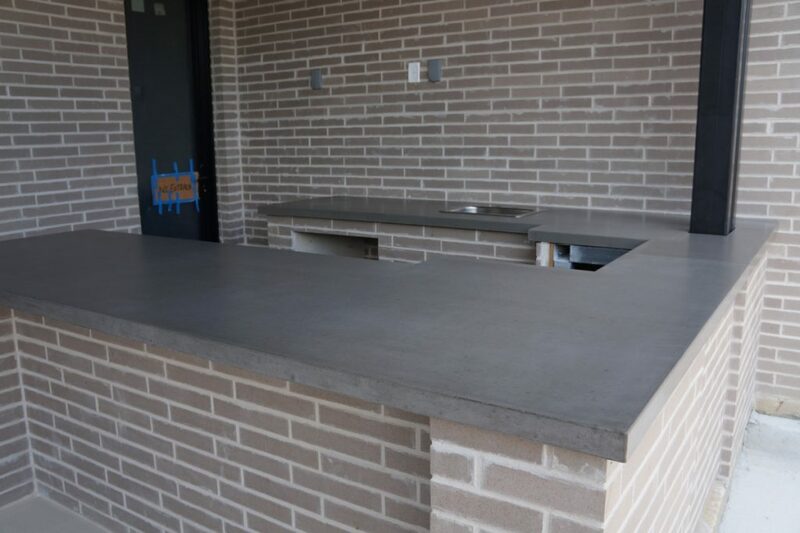 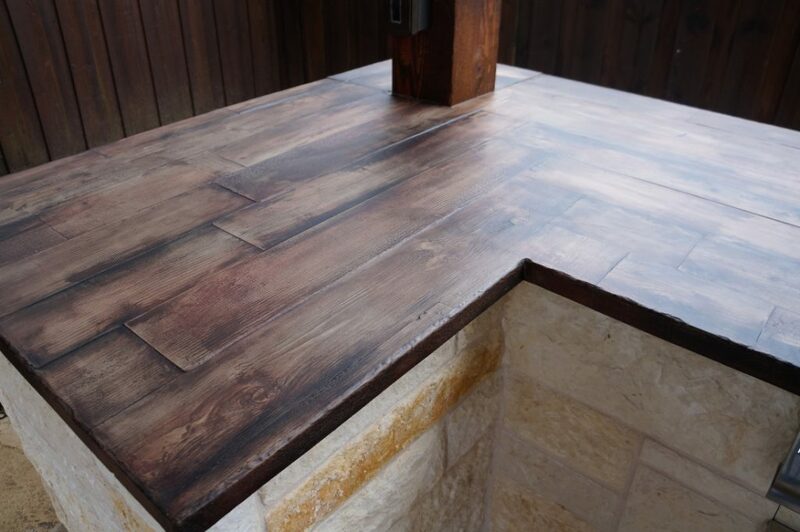 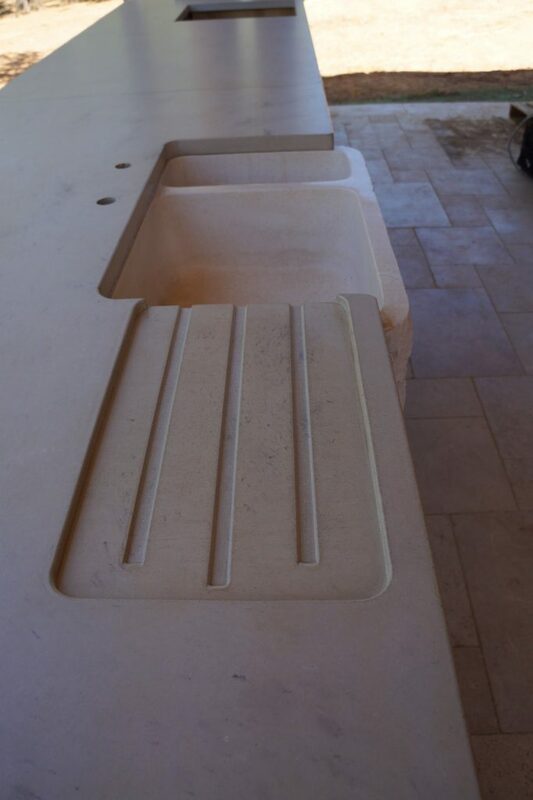 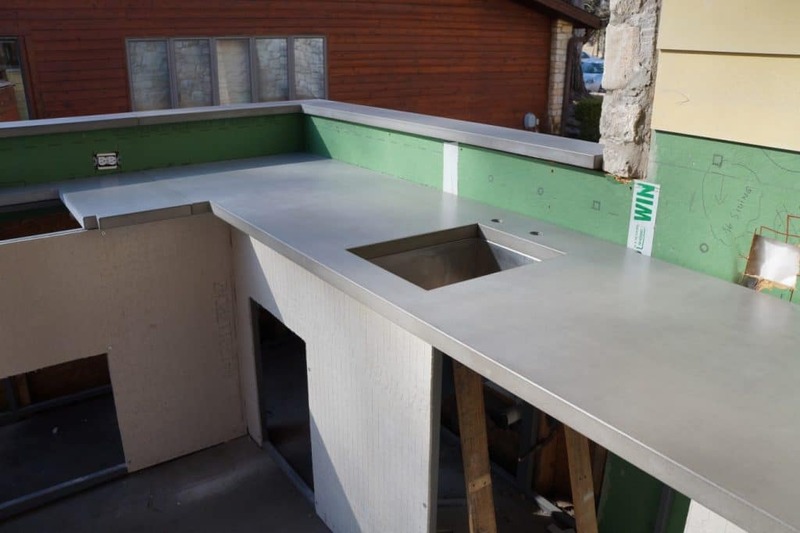 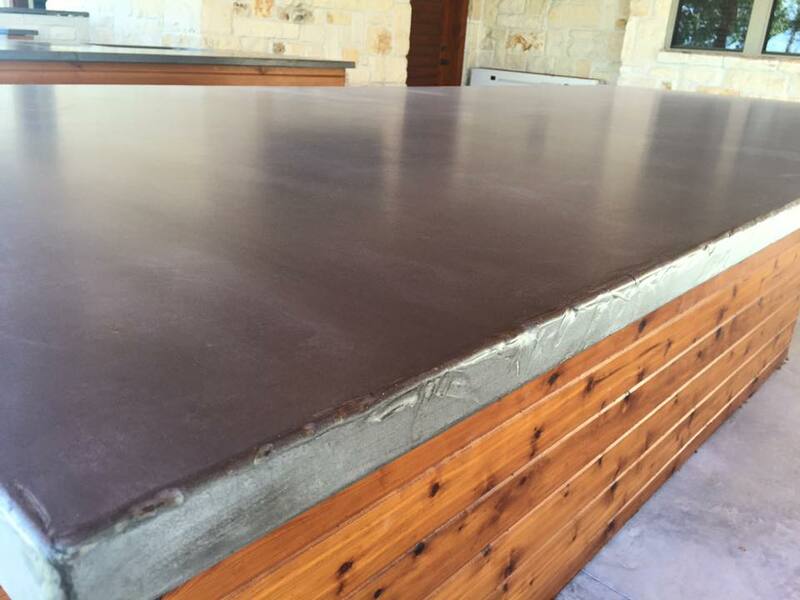 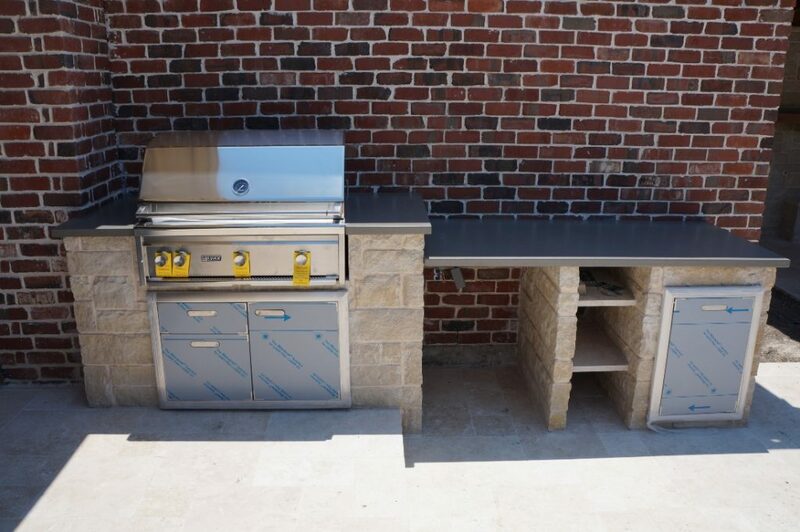 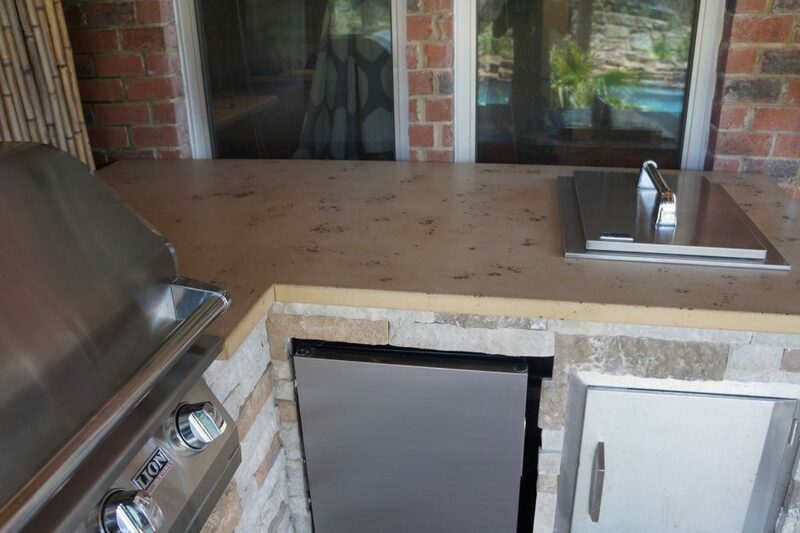 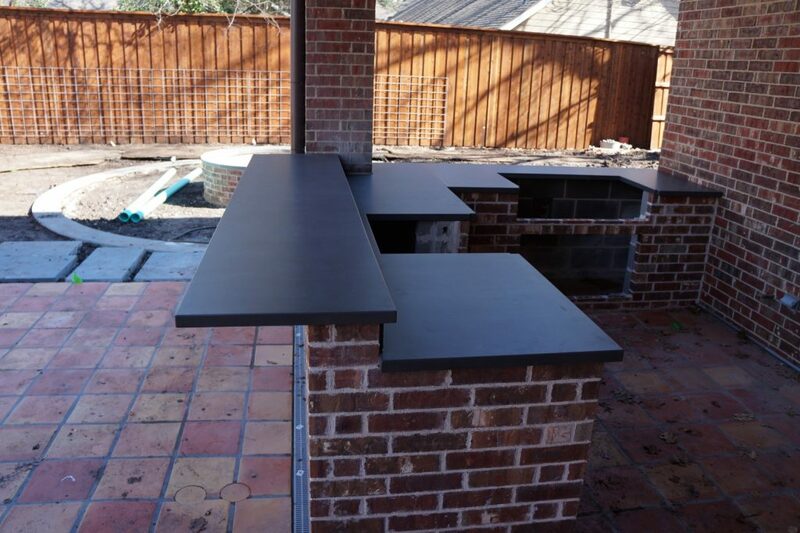 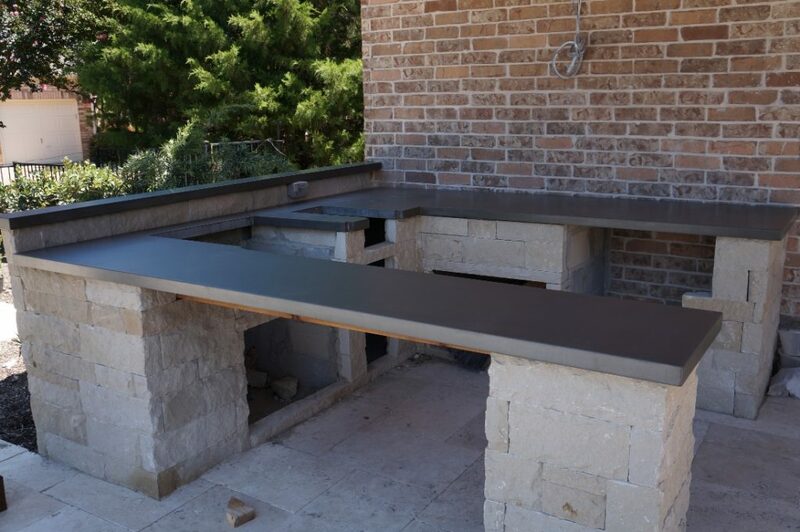 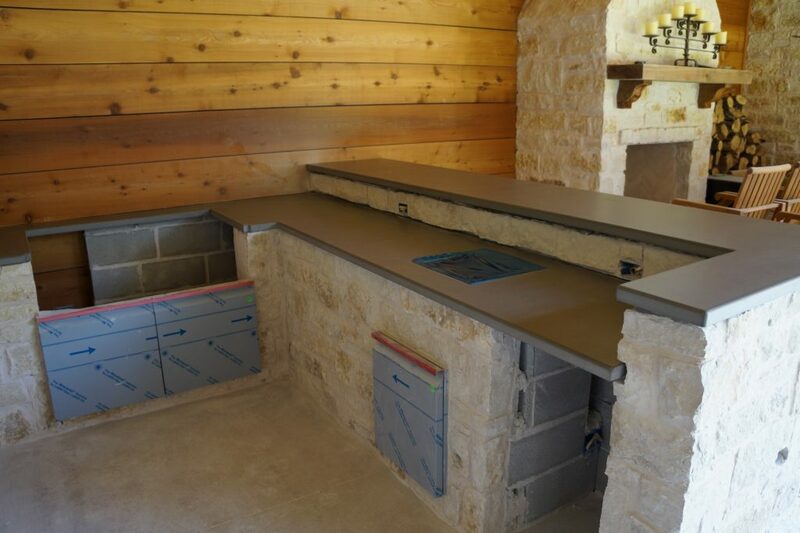 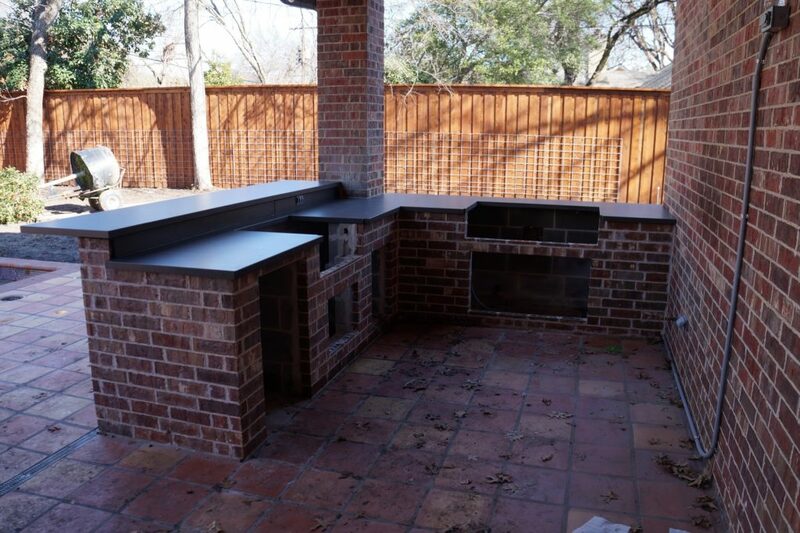 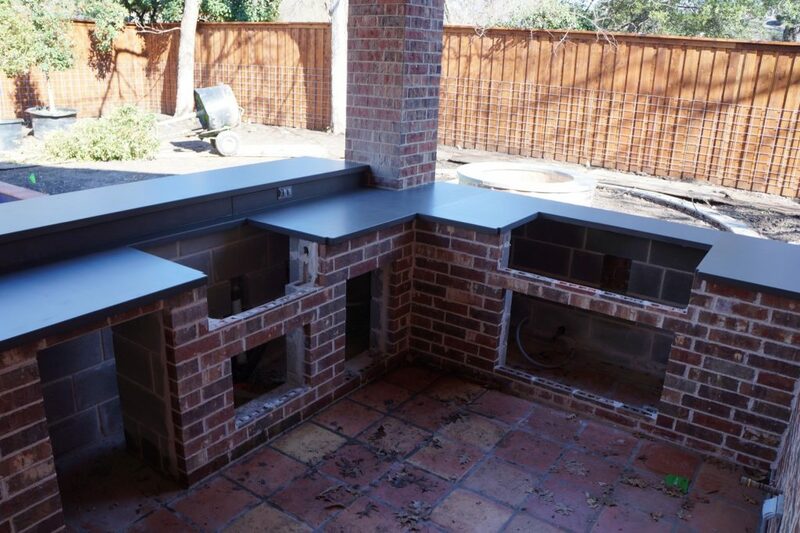 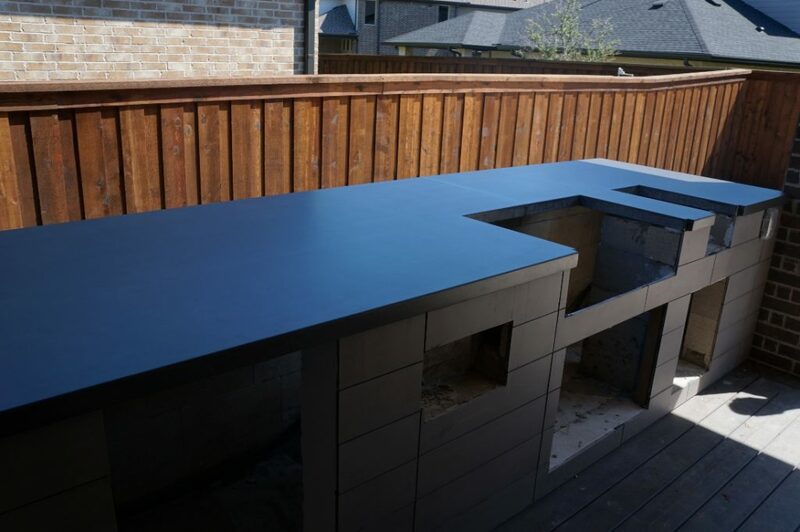 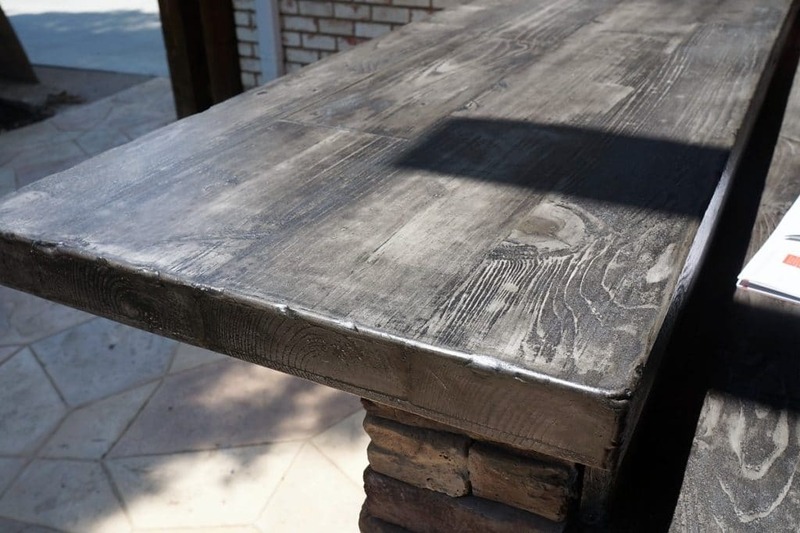 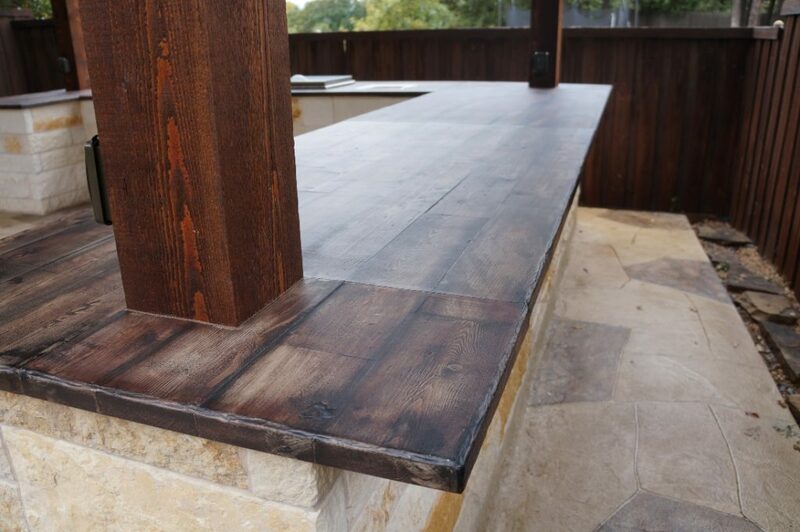 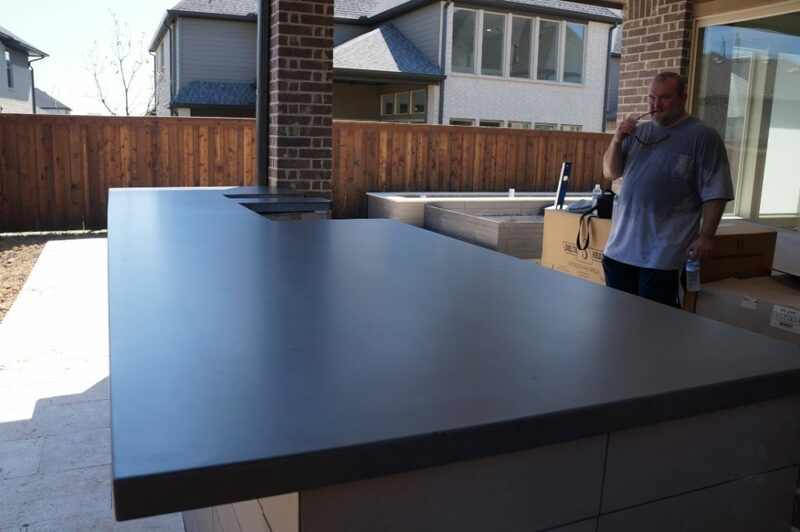 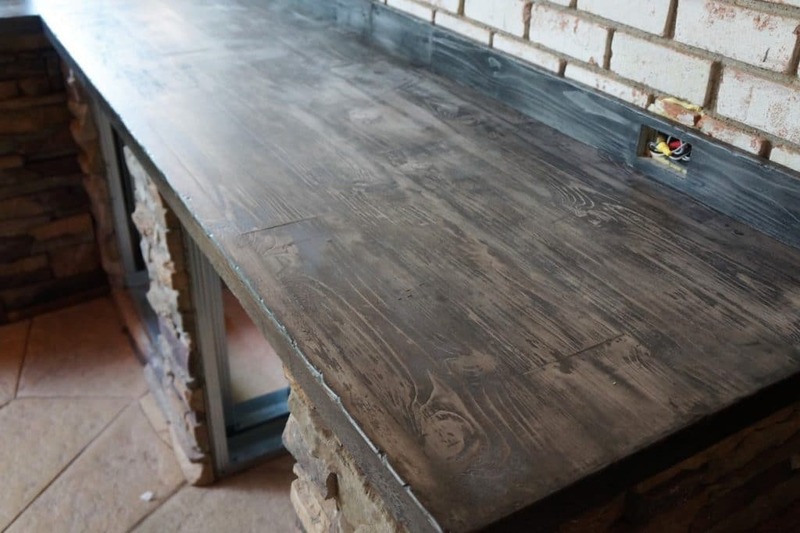 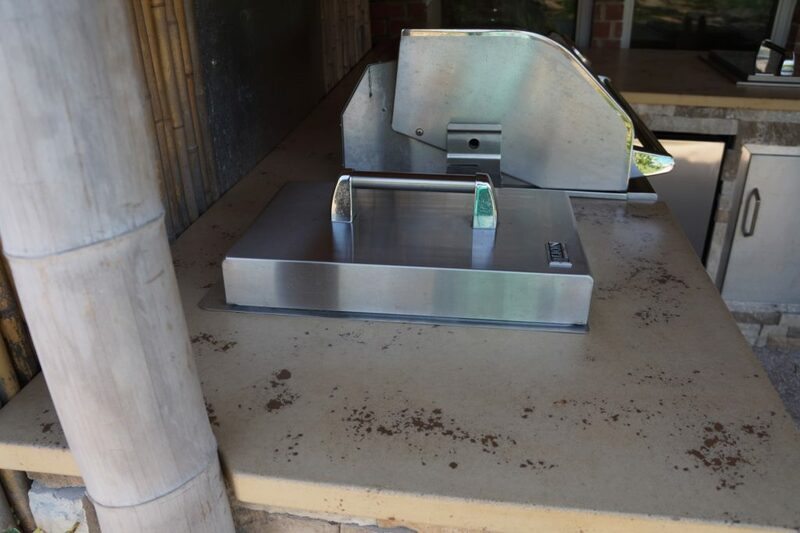 Lots of cooking space with these concrete countertops we did for this outdoor kitchen. 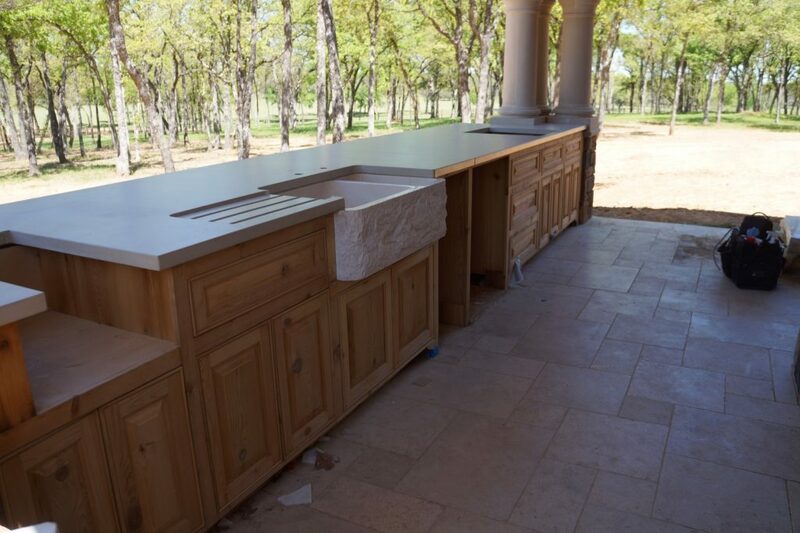 Even though it was a 3 hour drive each way, this client insisted that she wanted us to make her countertops! 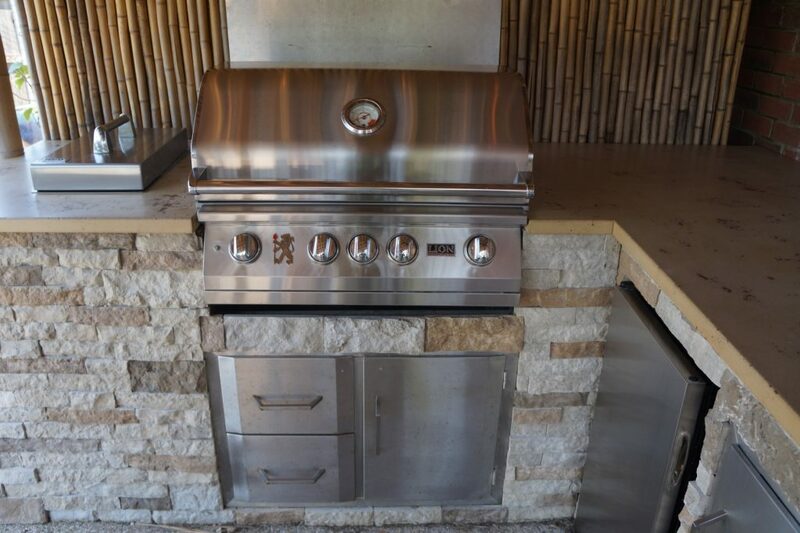 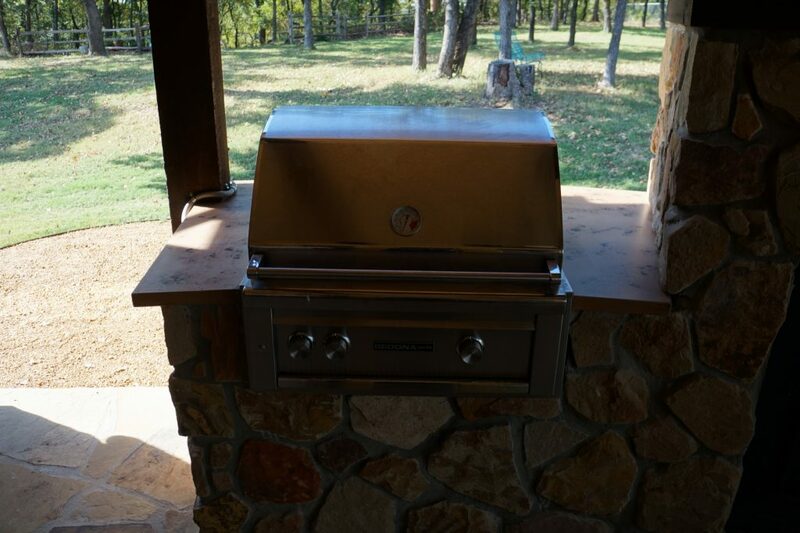 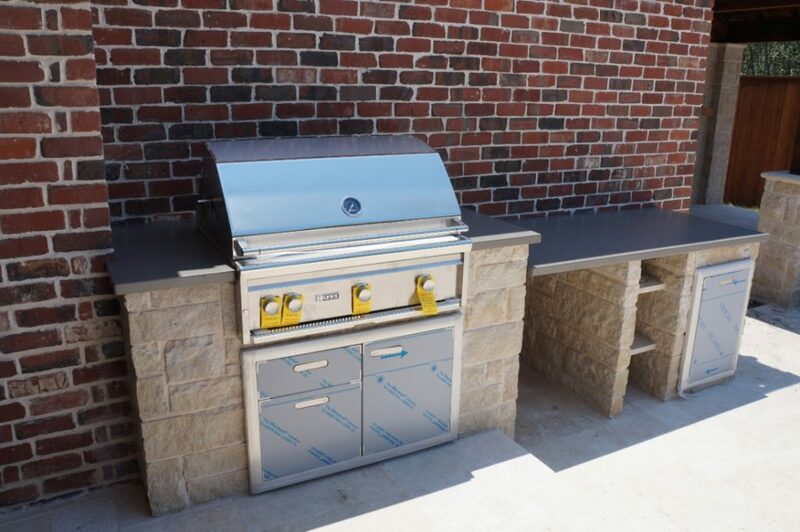 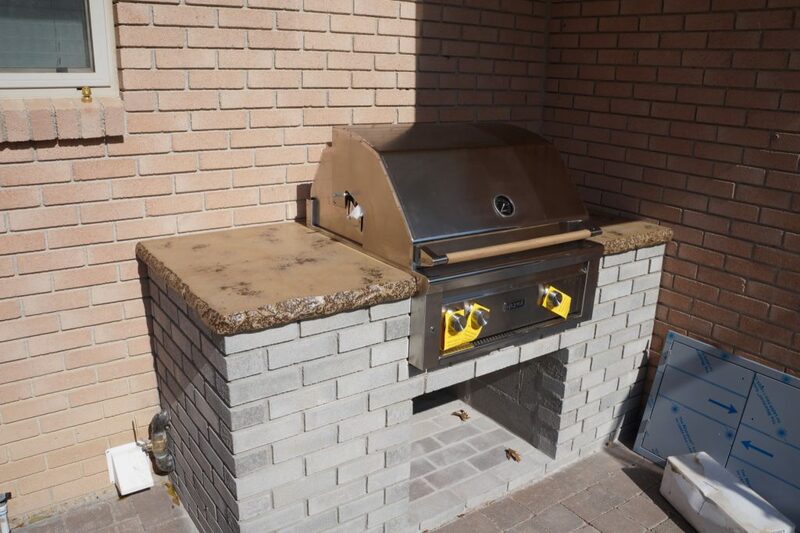 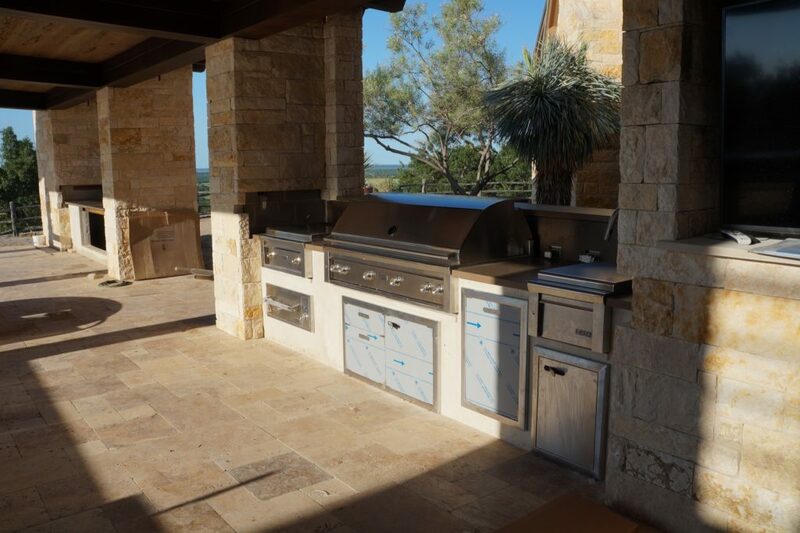 This outdoor kitchen had every outdoor appliance you could think of and probably several you would never think of. 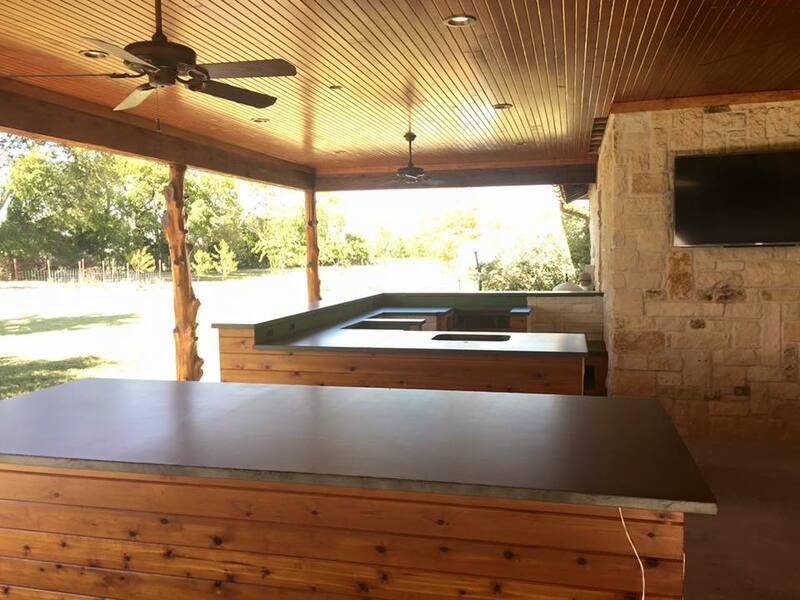 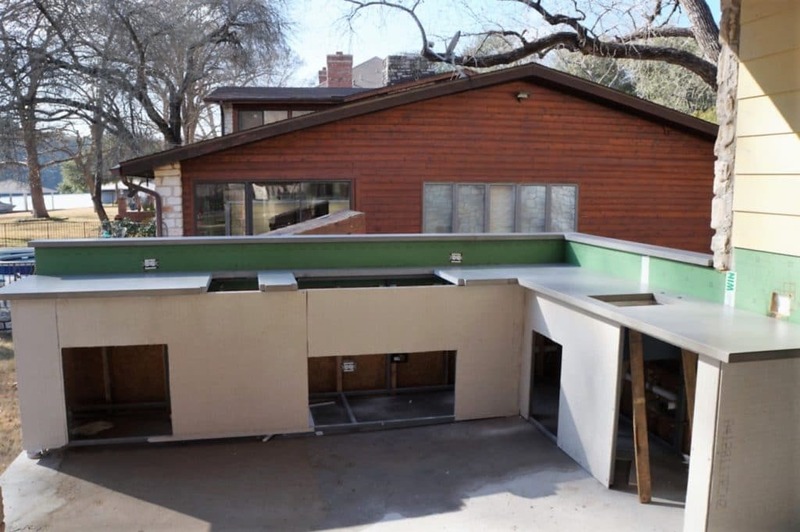 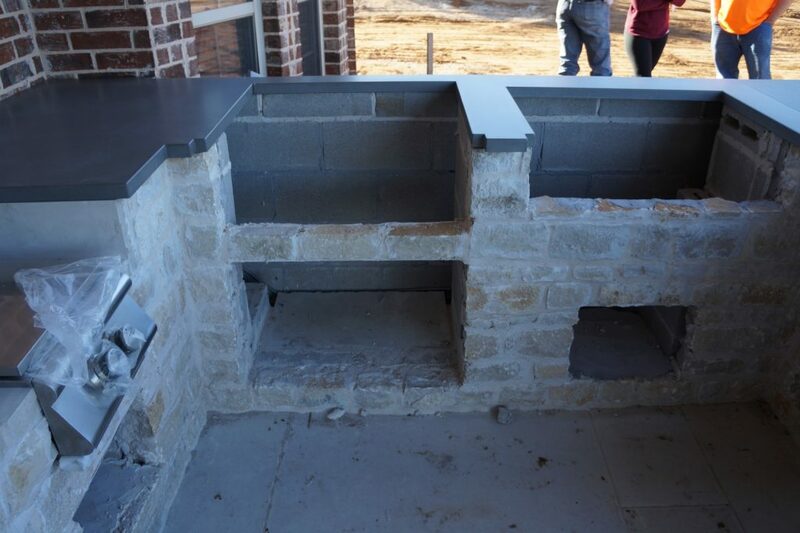 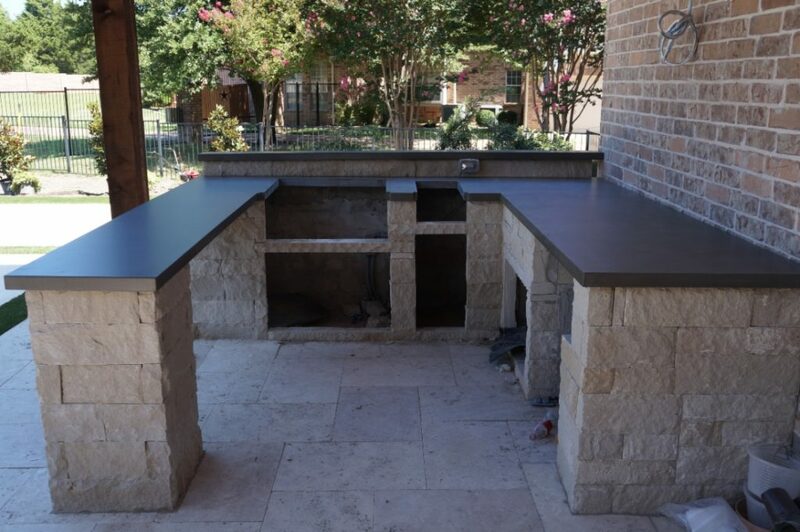 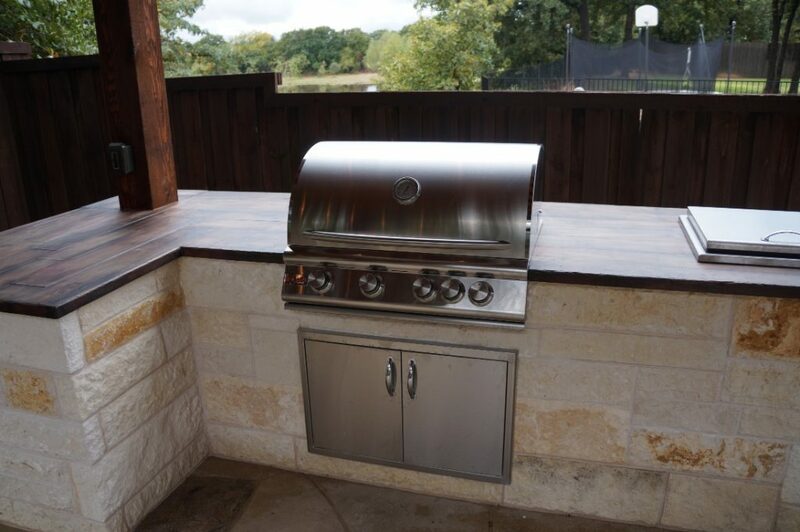 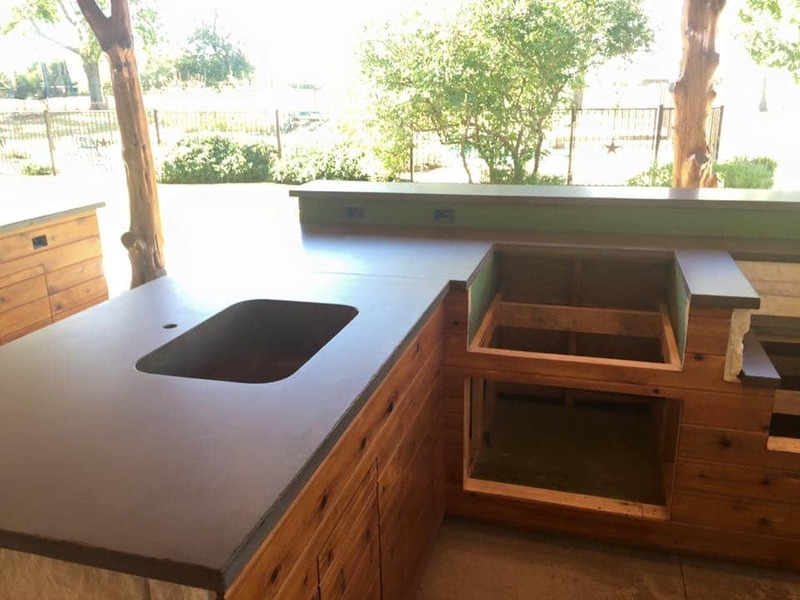 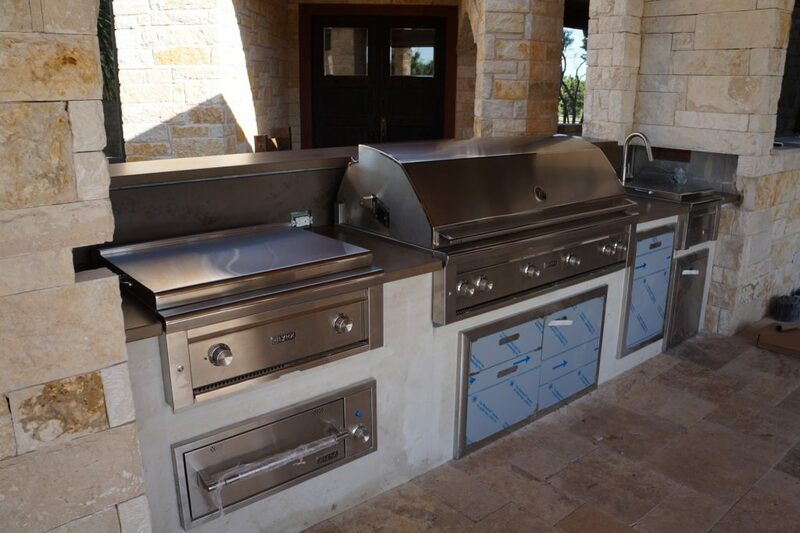 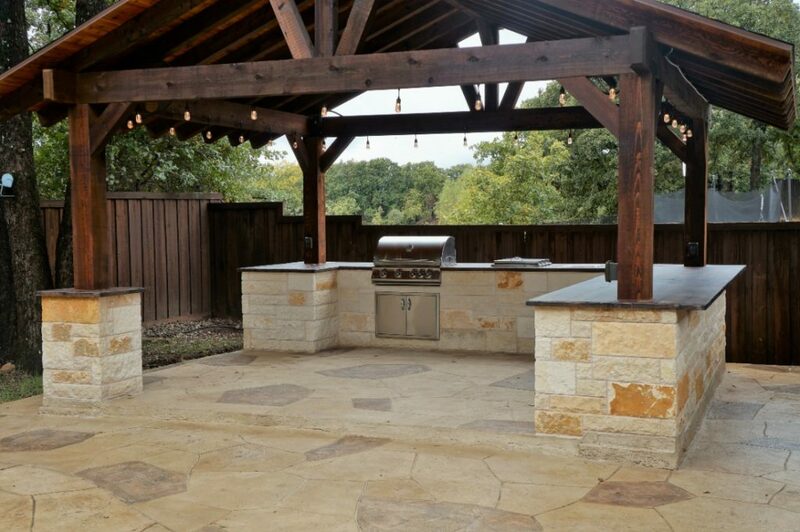 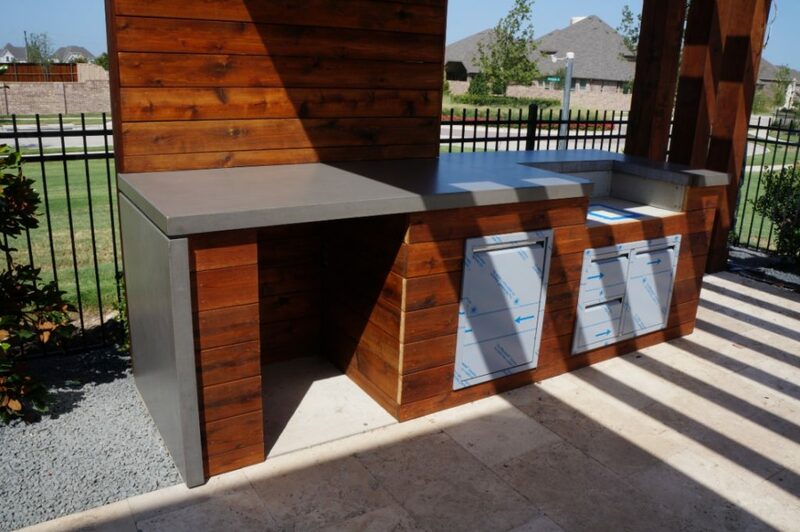 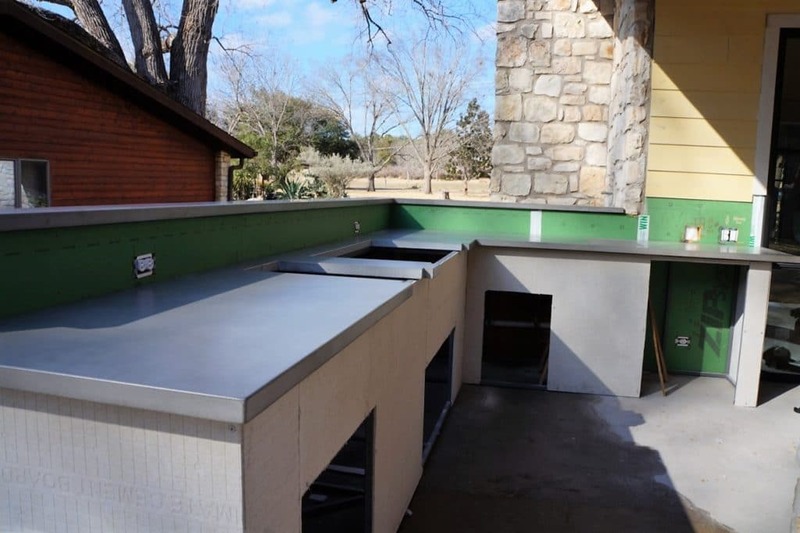 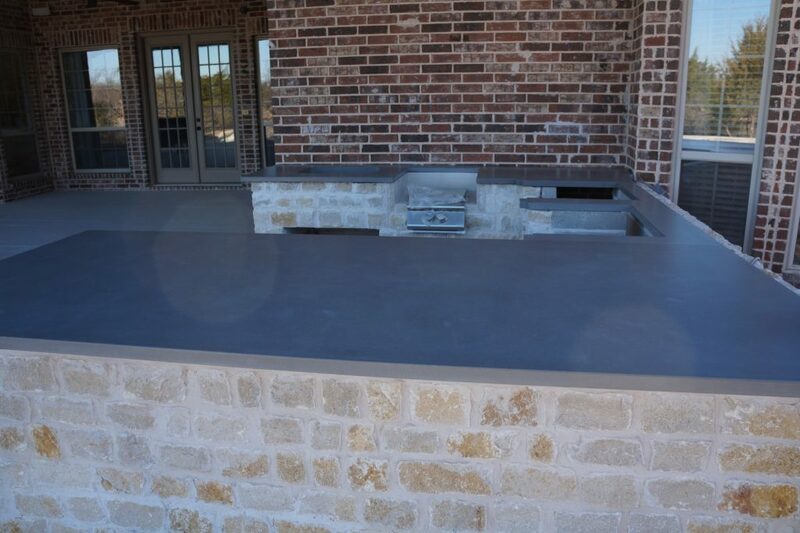 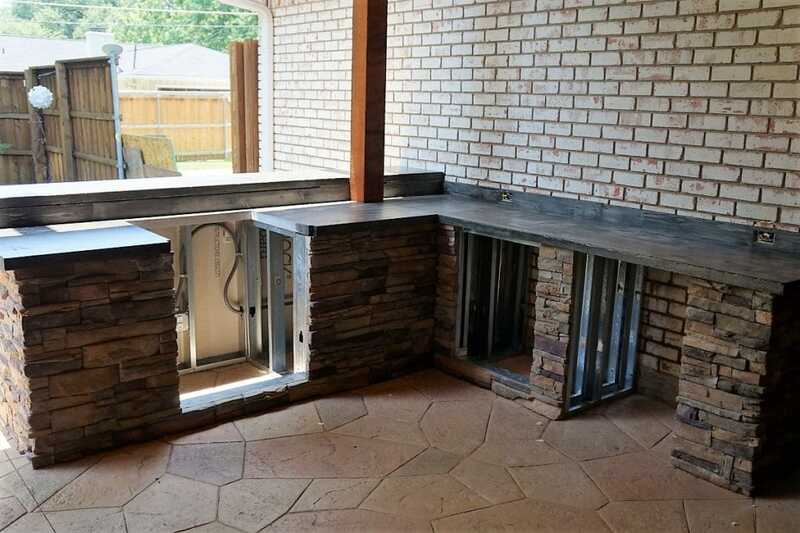 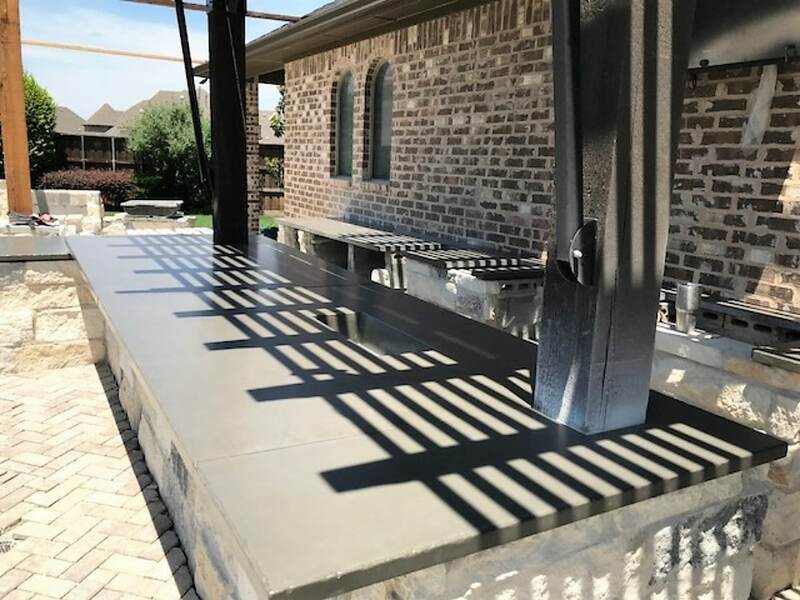 This massive Concrete Outdoor Kitchen was installed in Valley View, Texas. 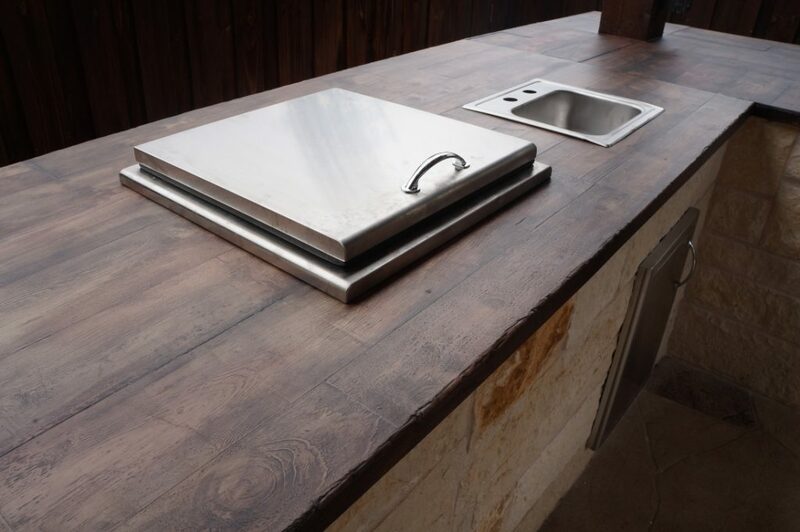 Note the integral drain board/cutting board holder. 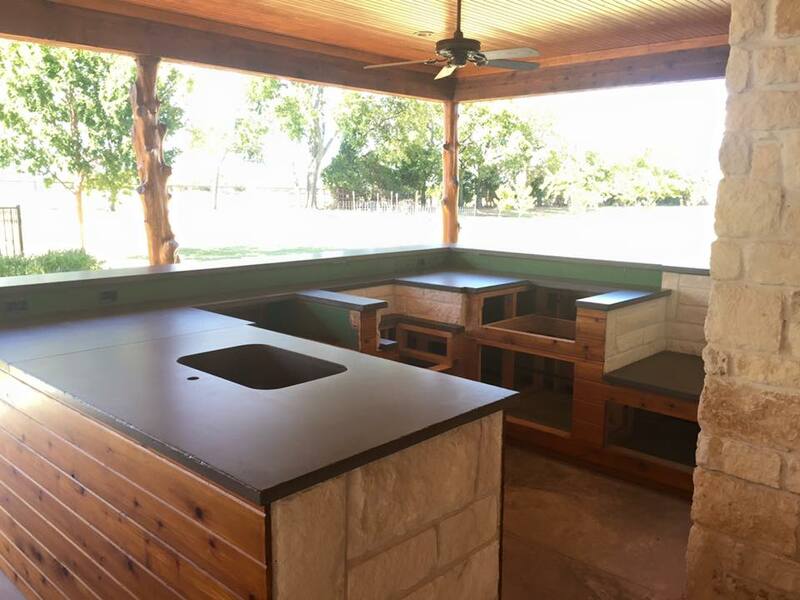 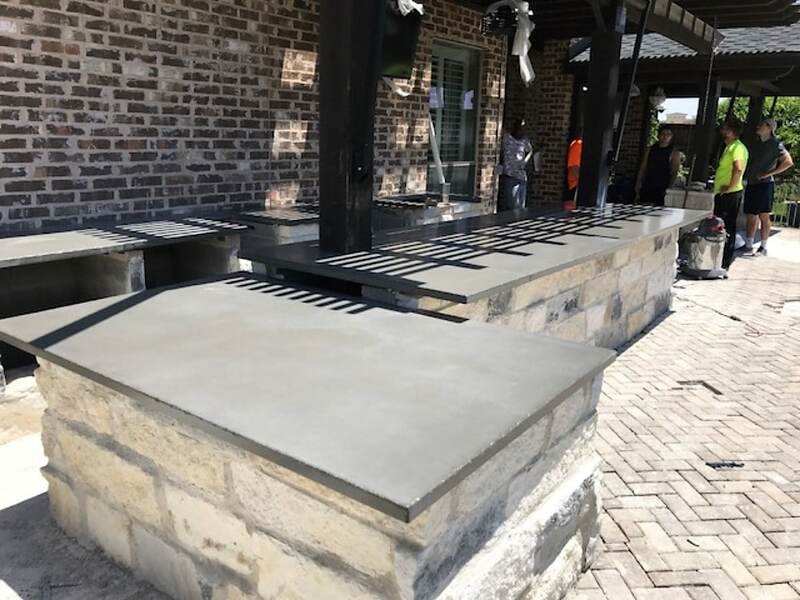 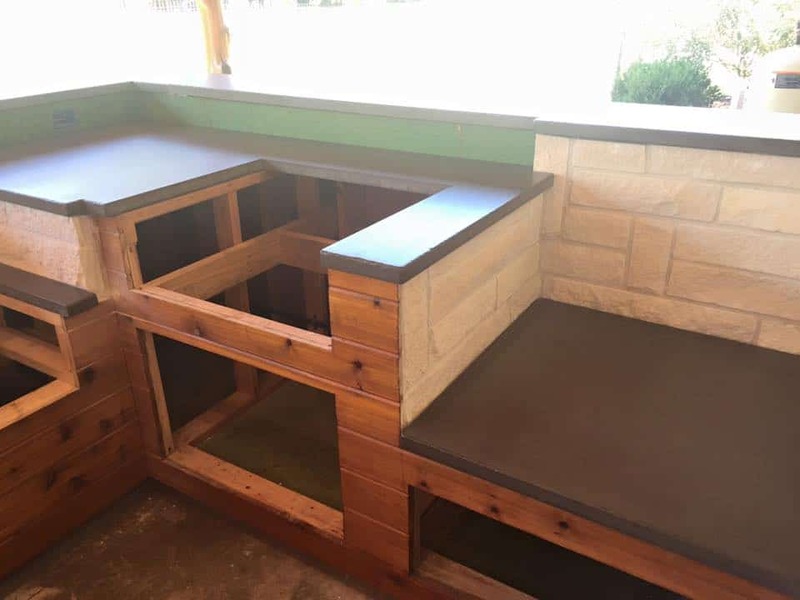 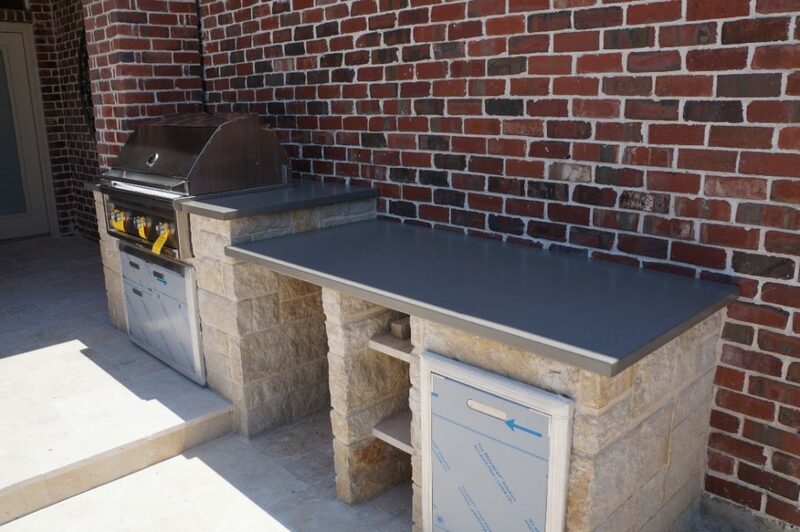 Large Concrete Outdoor Kitchen installed in Celina, Texas. 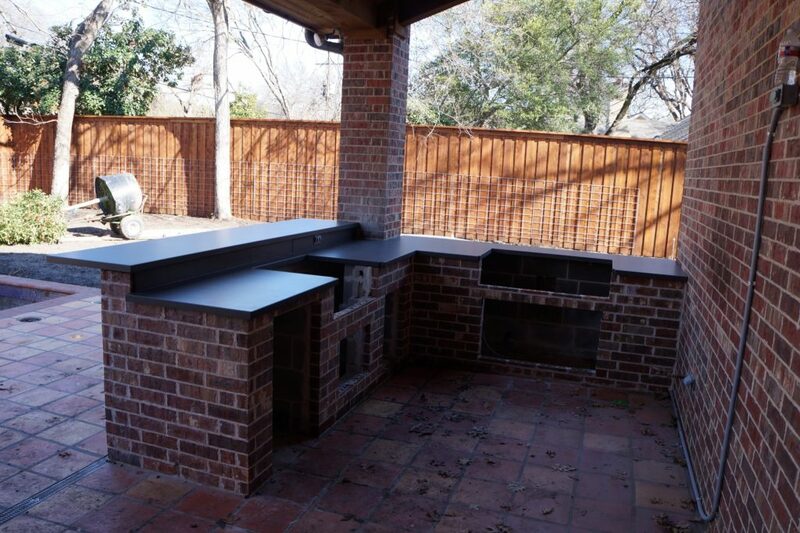 This Concrete Outdoor grilling center may not be huge in size, but it has plenty of character. 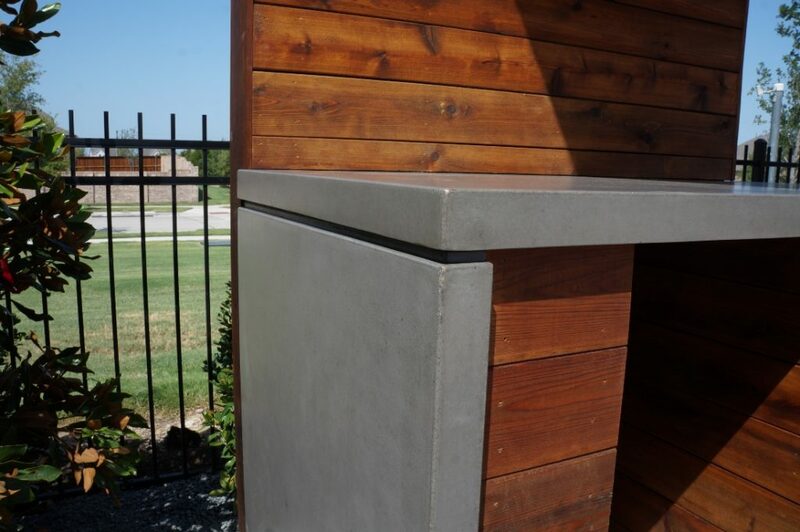 The tan with brown fill really brings out the detail in the 2 inch thick chiseled edge. 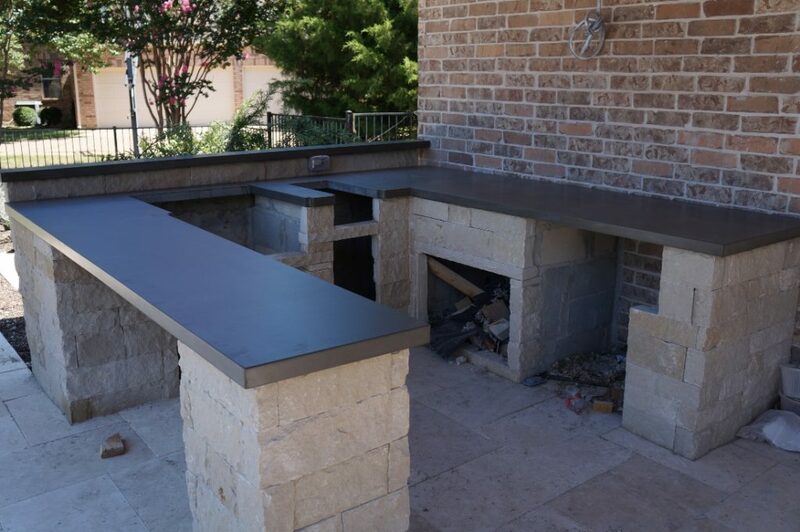 This job was installed in Richardson, Texas. 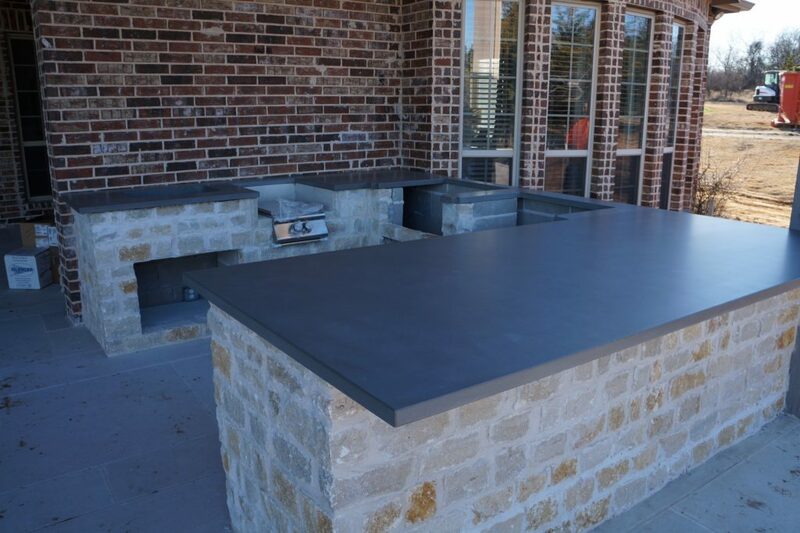 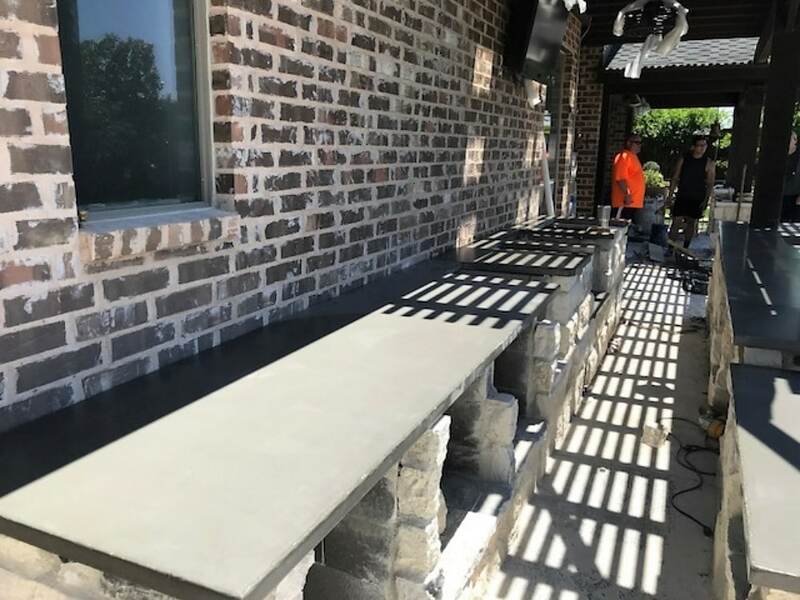 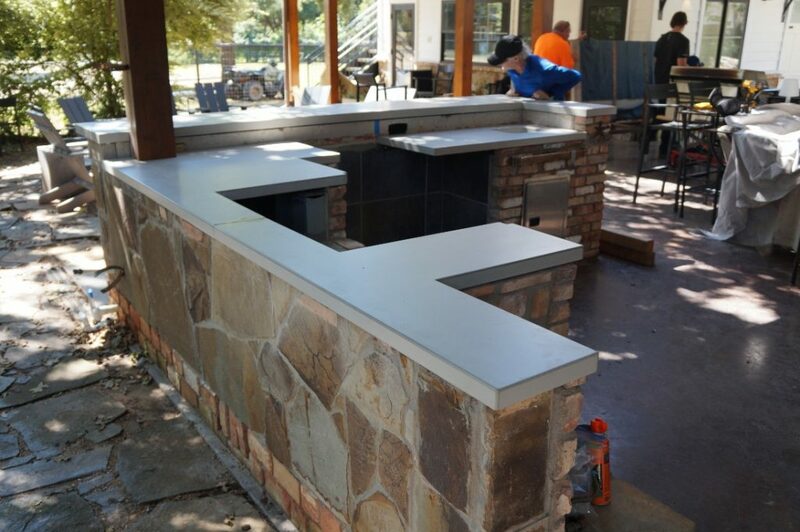 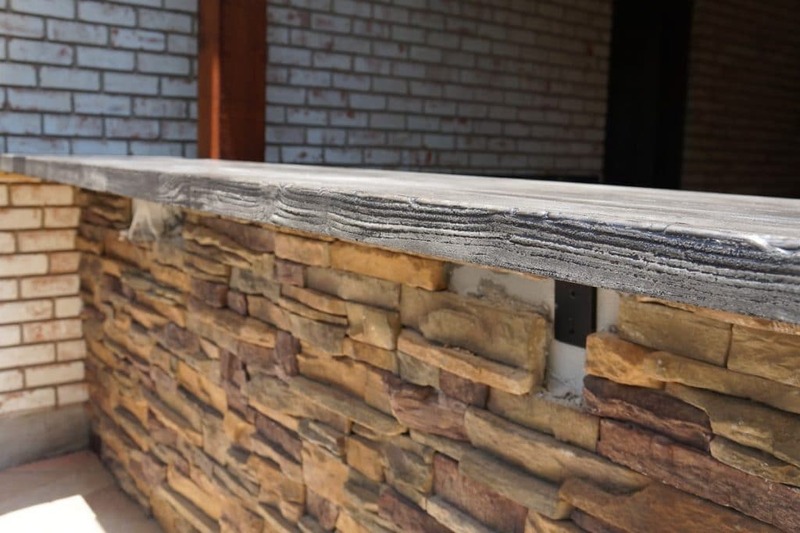 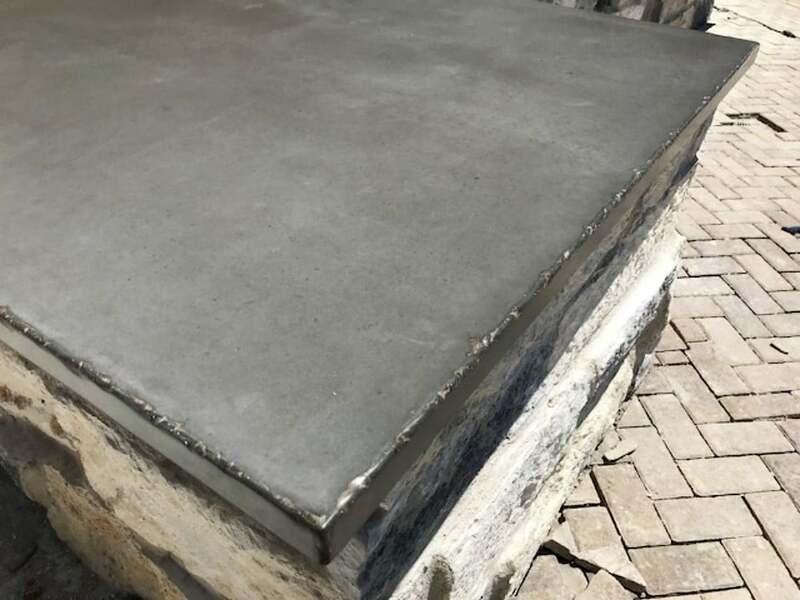 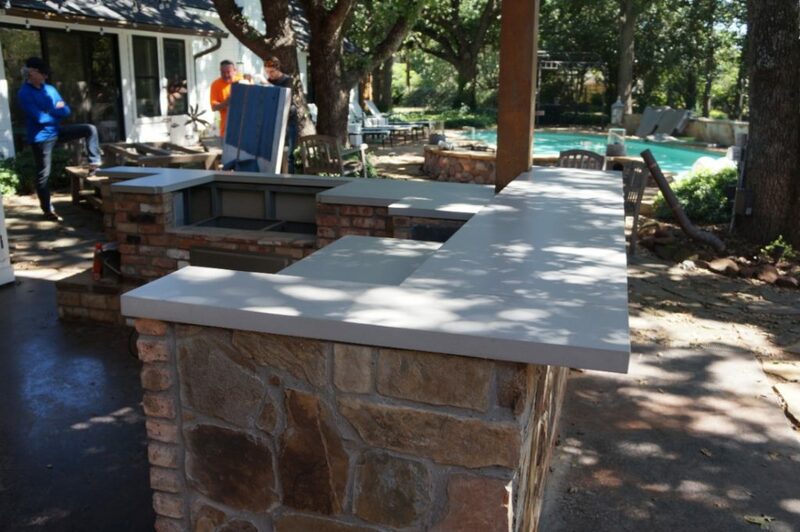 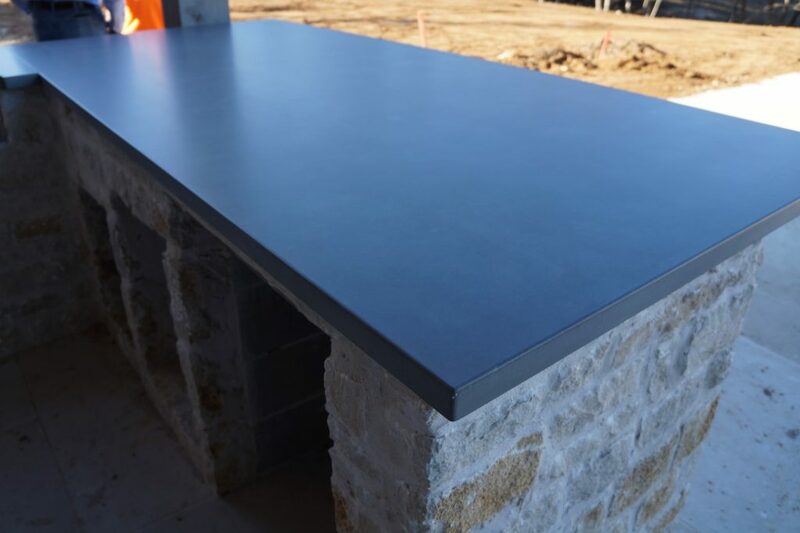 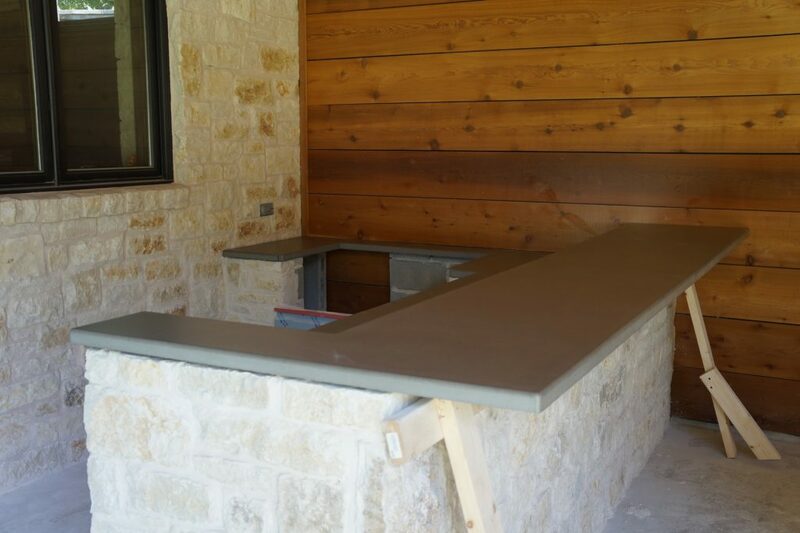 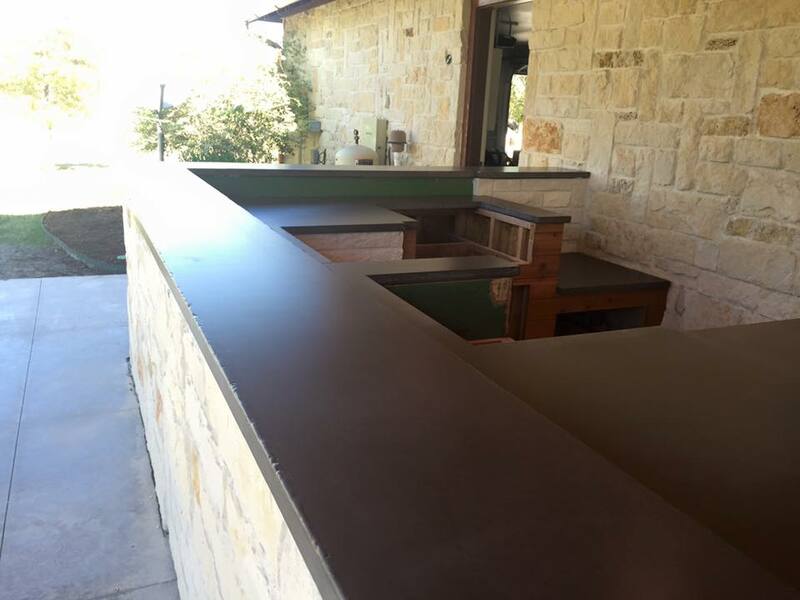 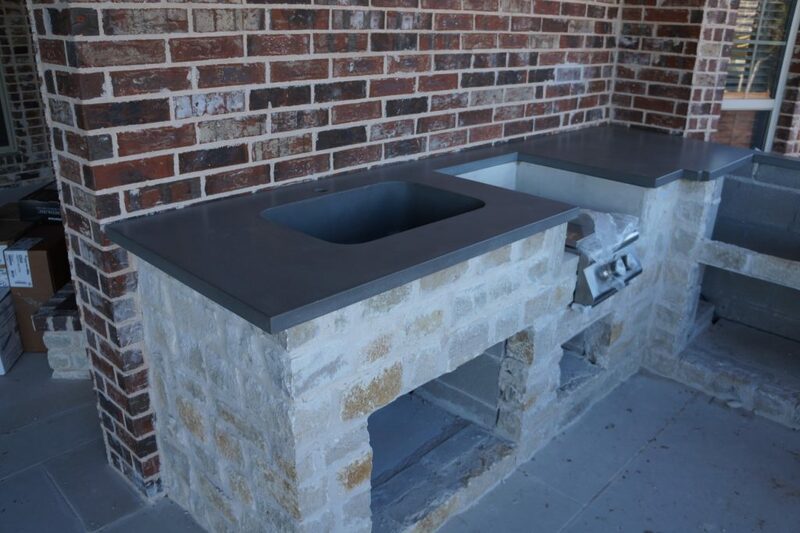 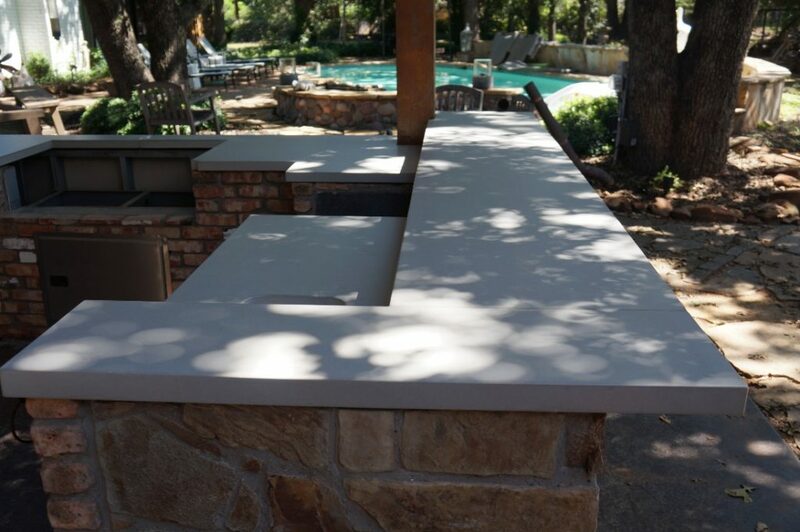 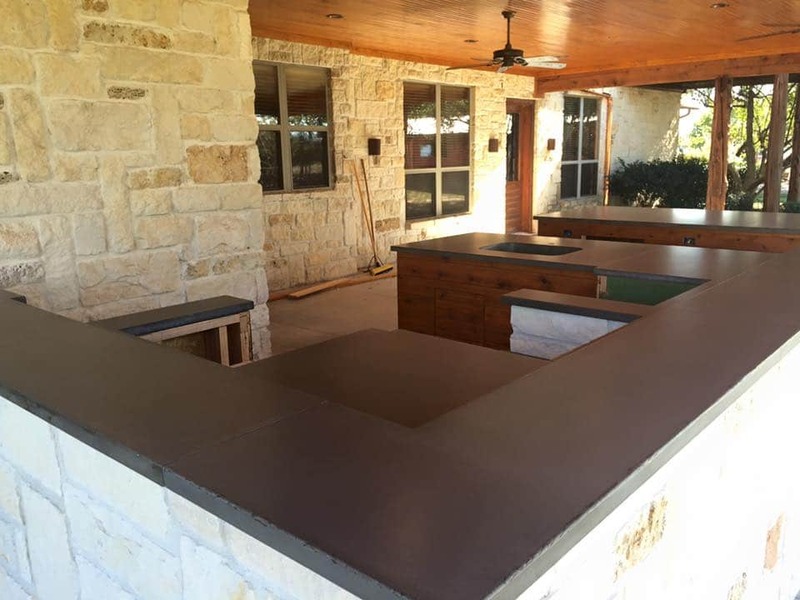 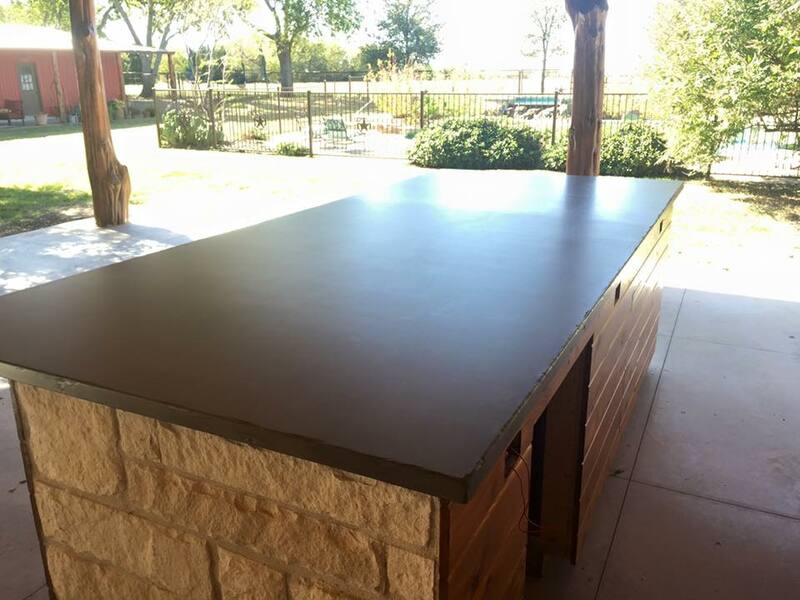 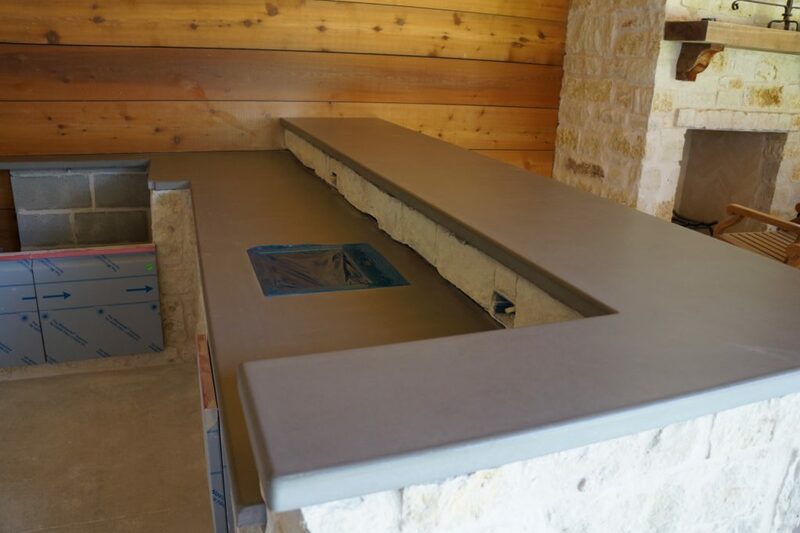 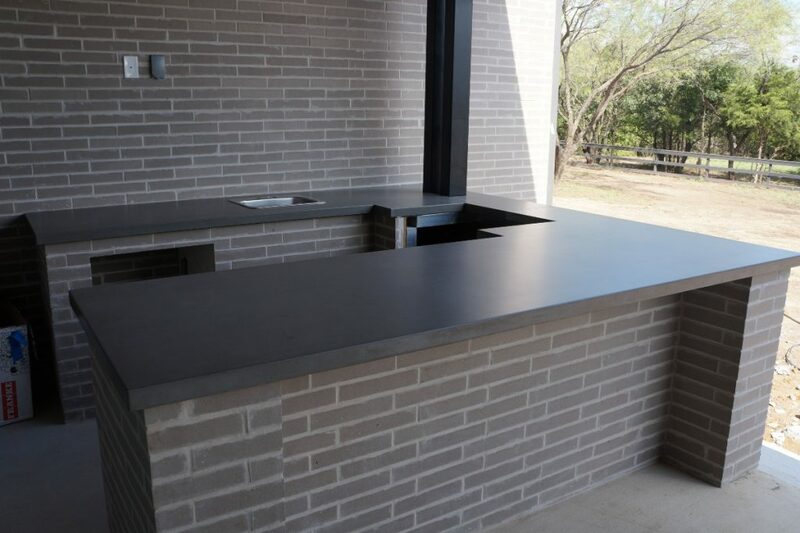 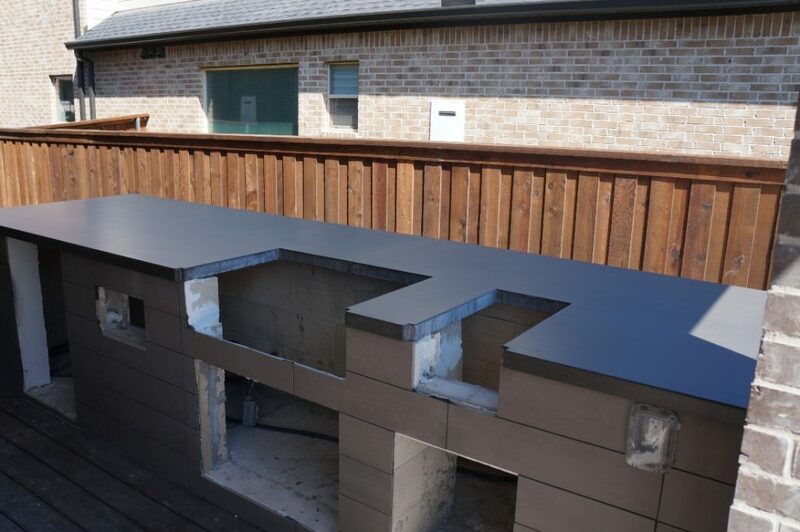 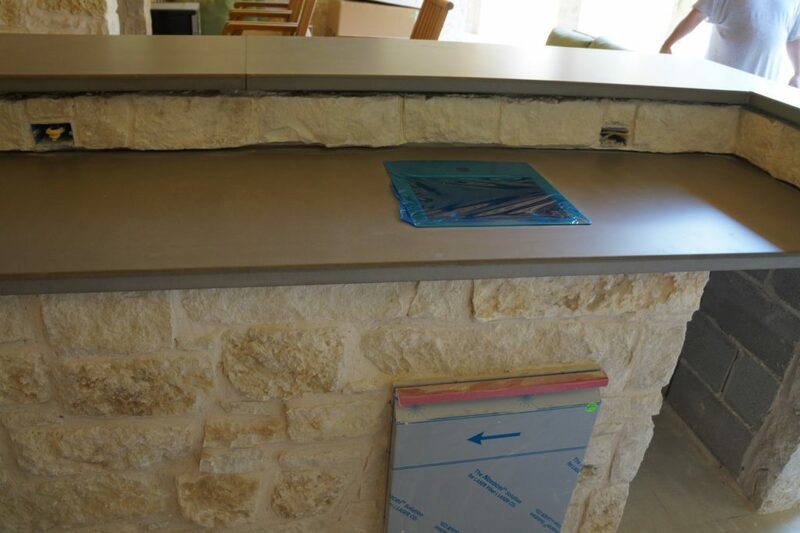 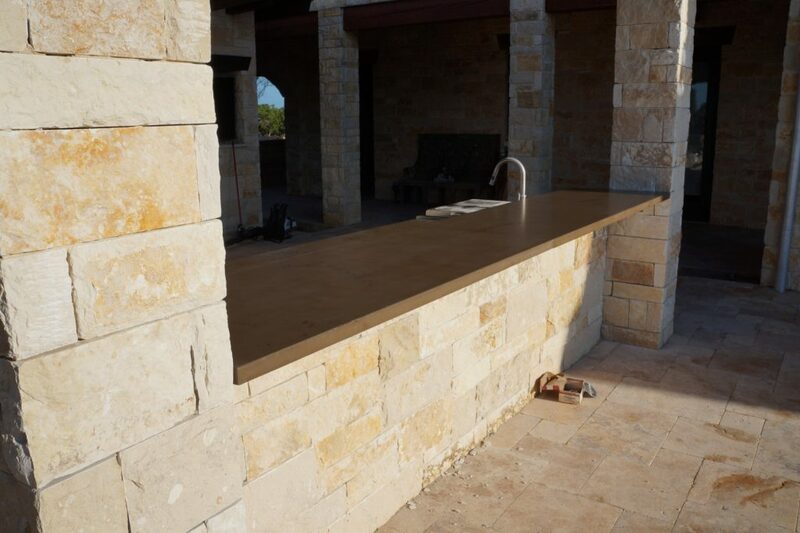 Outdoor Concrete Countertops installed in Pilot Point, Texas. 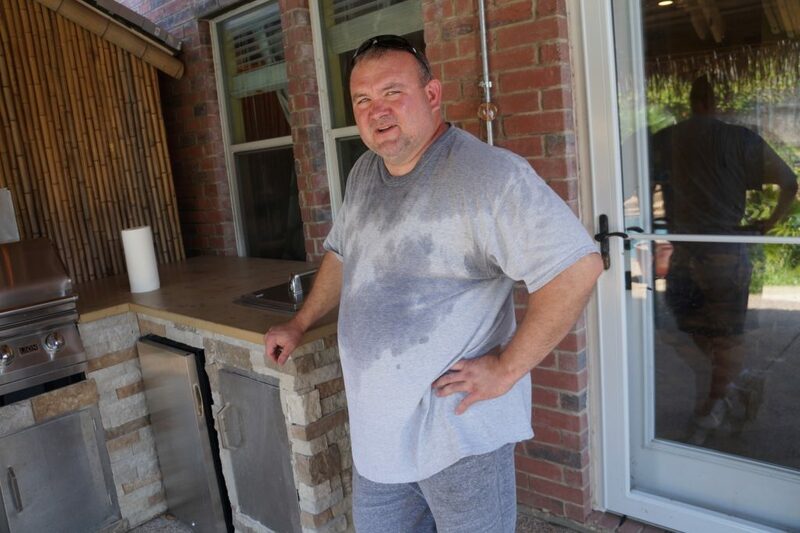 The sweaty old man option is free with every install. 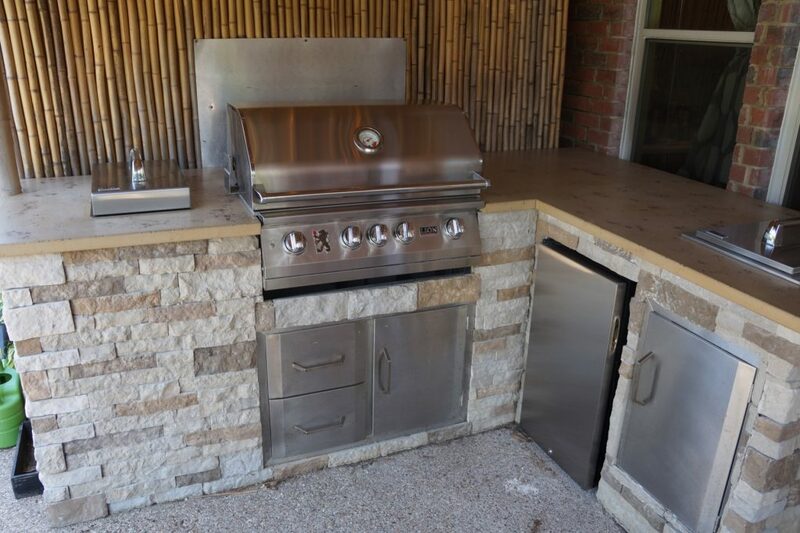 Nice Grill to match the nice countertops. 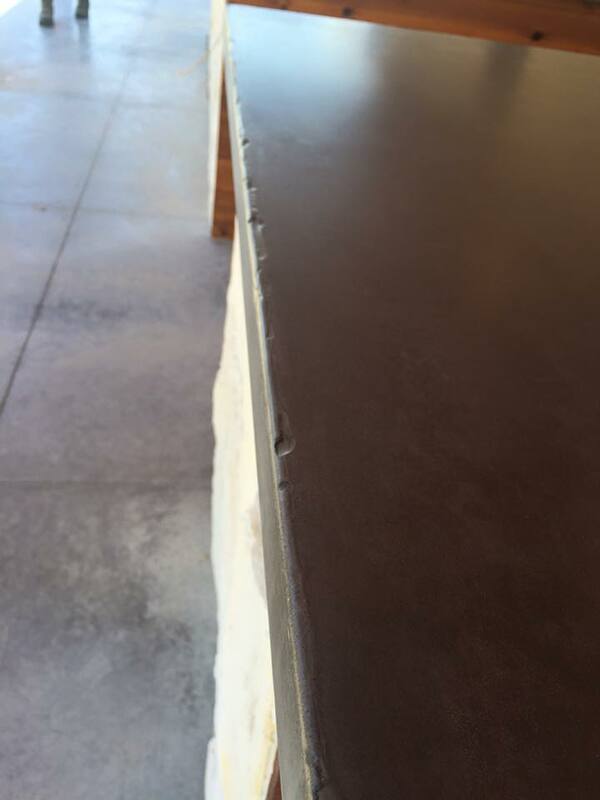 Nice random pattern on the brown fill. 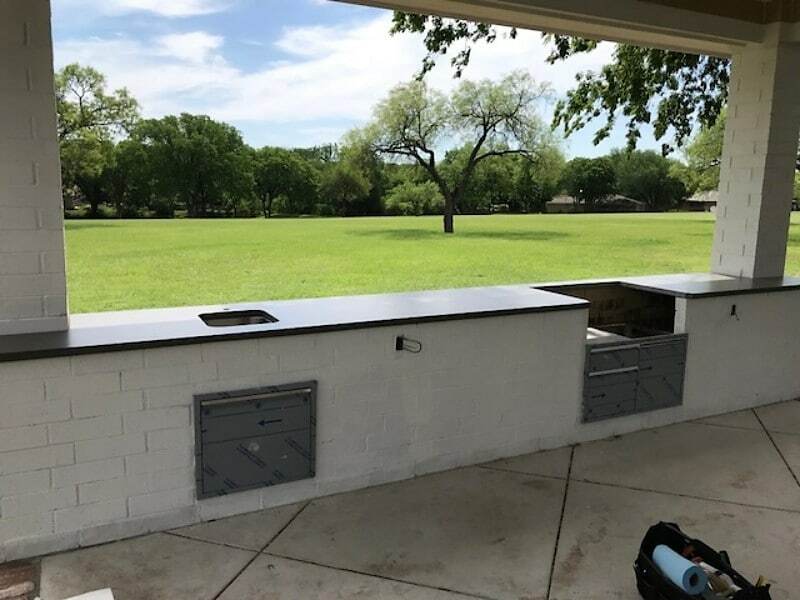 hmm who put those windows there? 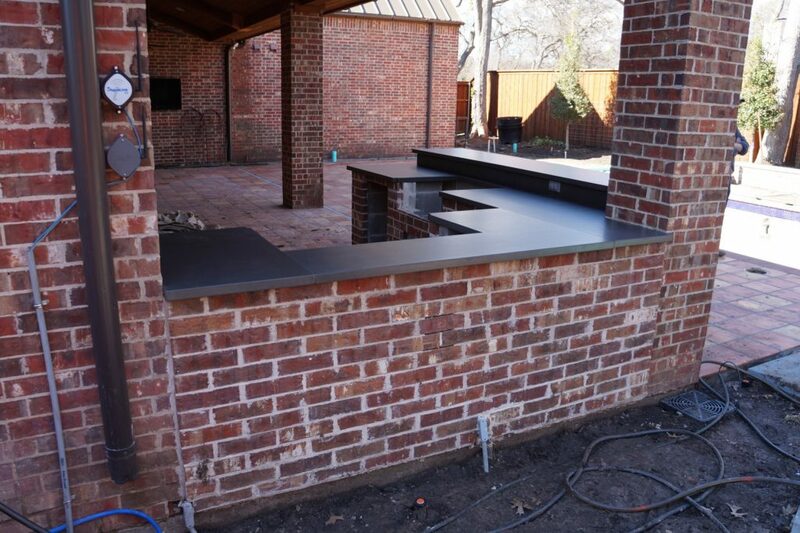 Hope we finished that back edge.